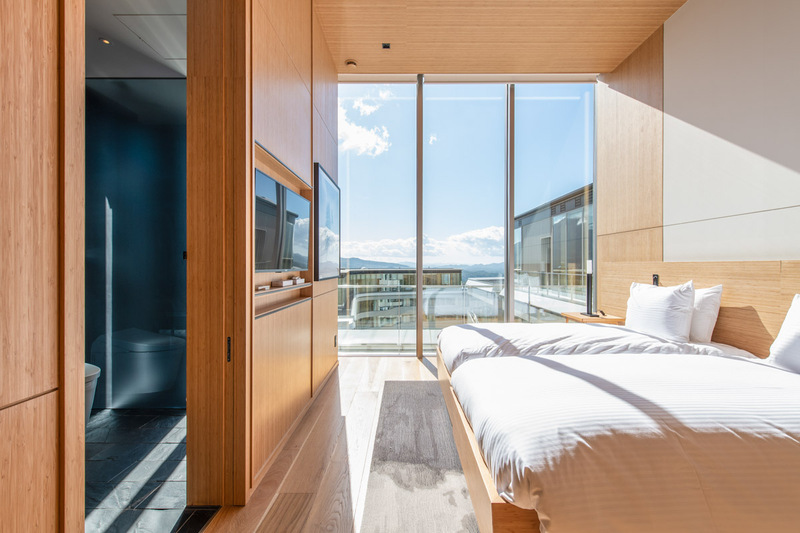 Complimentary breakfast included in all bookings. 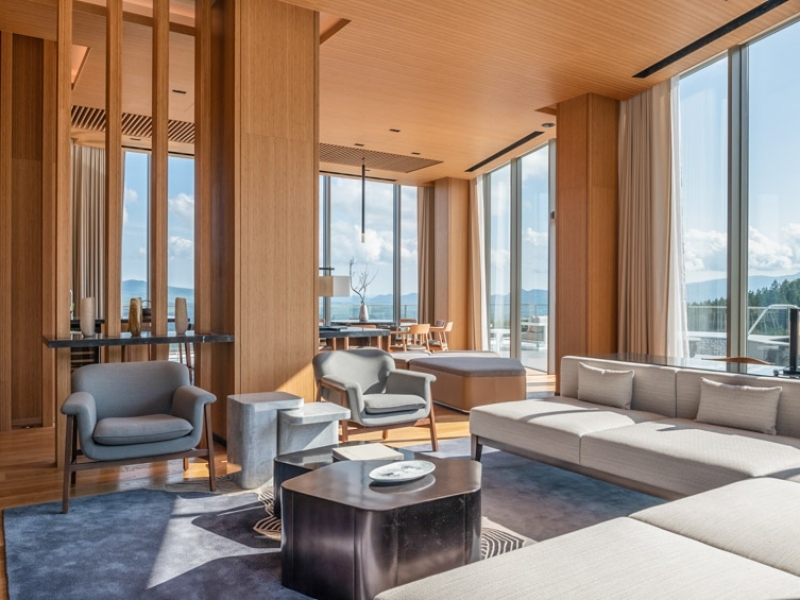 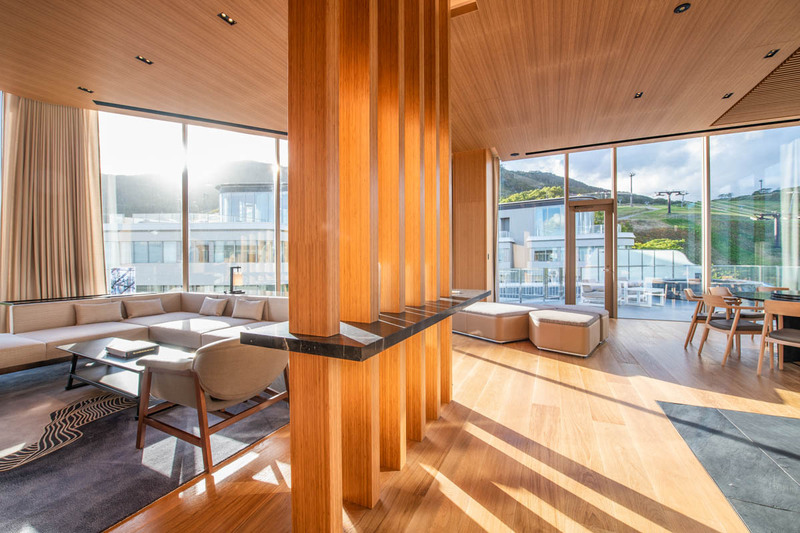 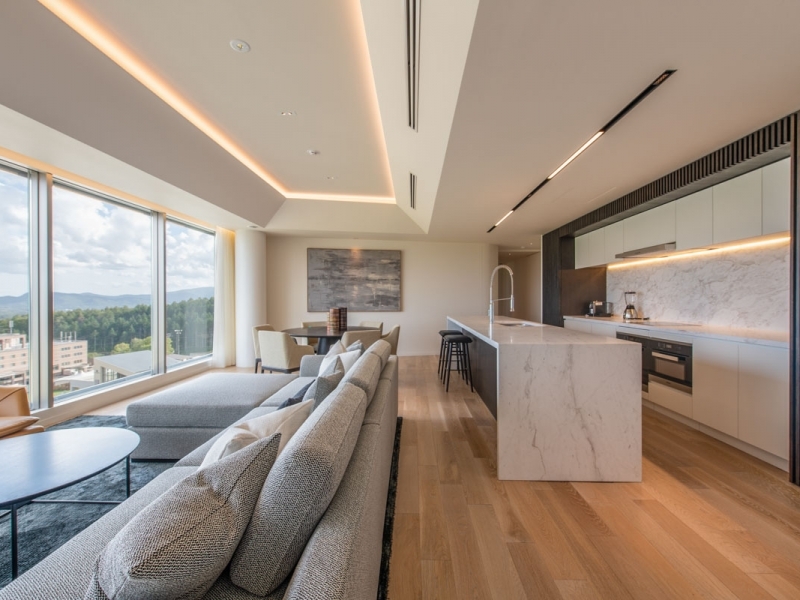 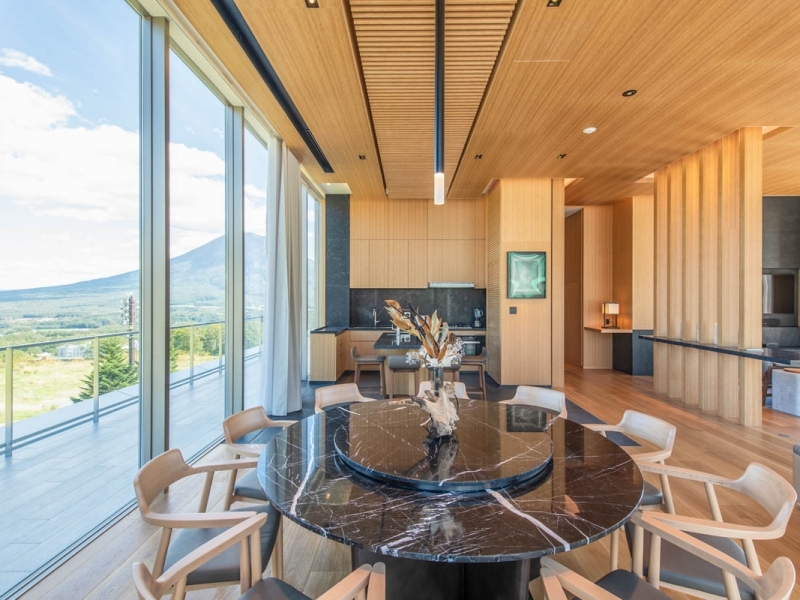 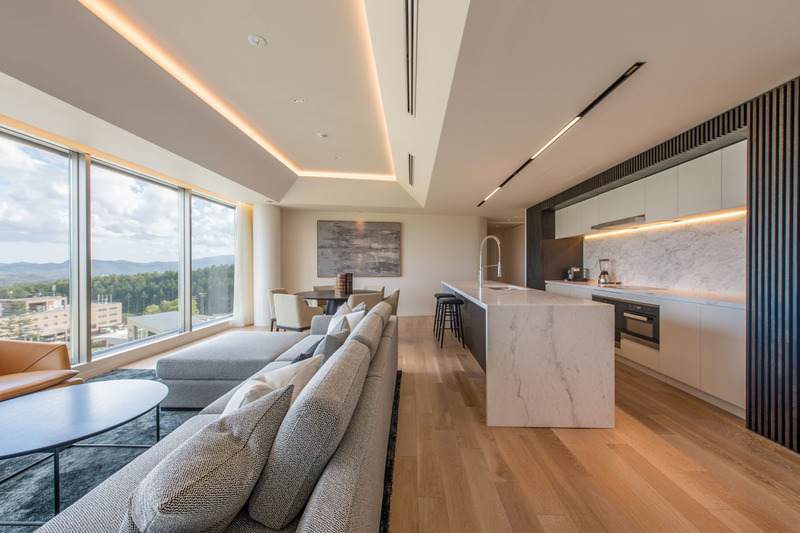 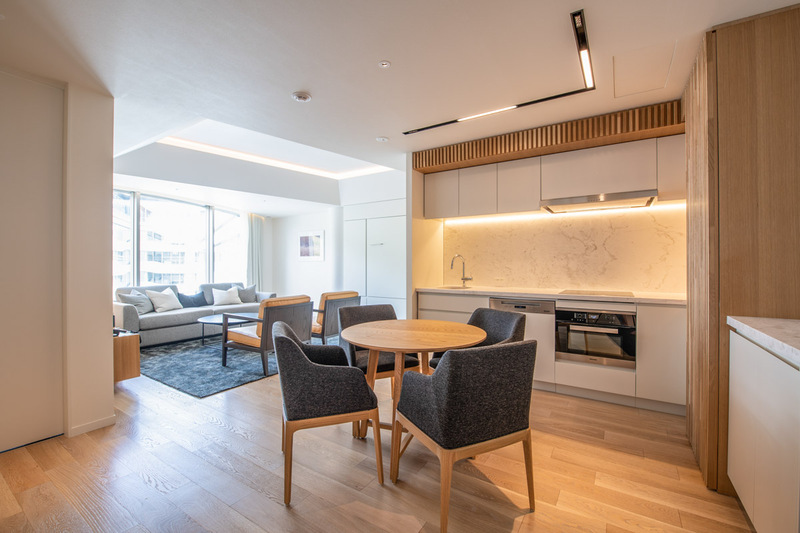 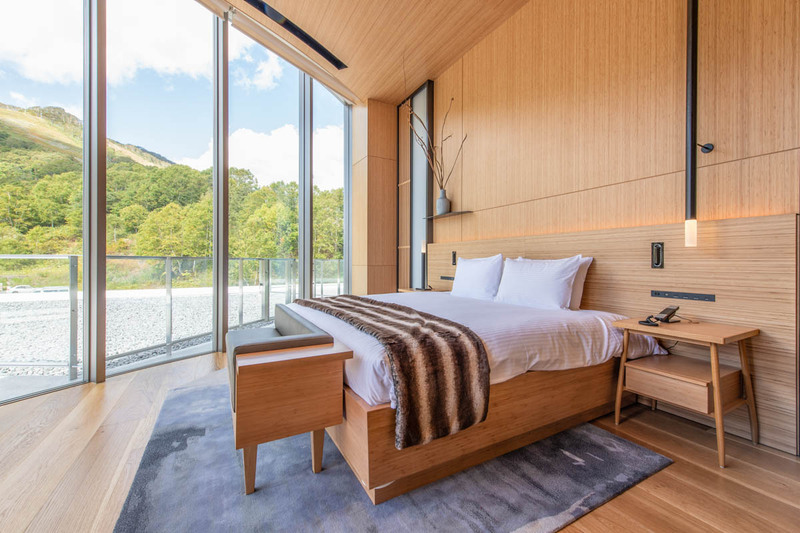 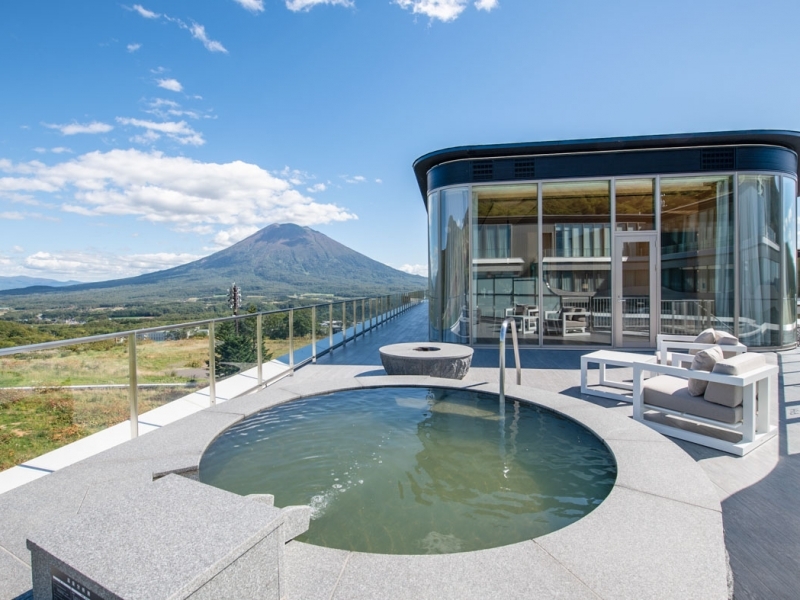 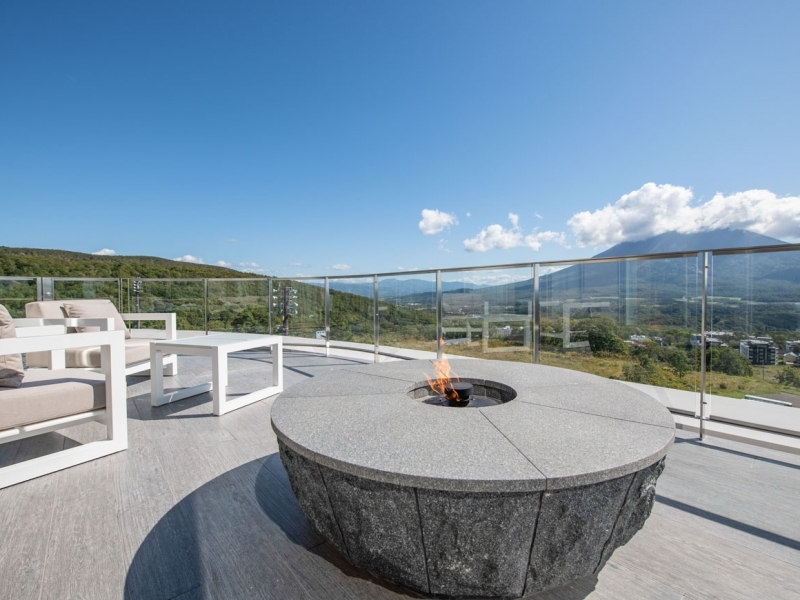 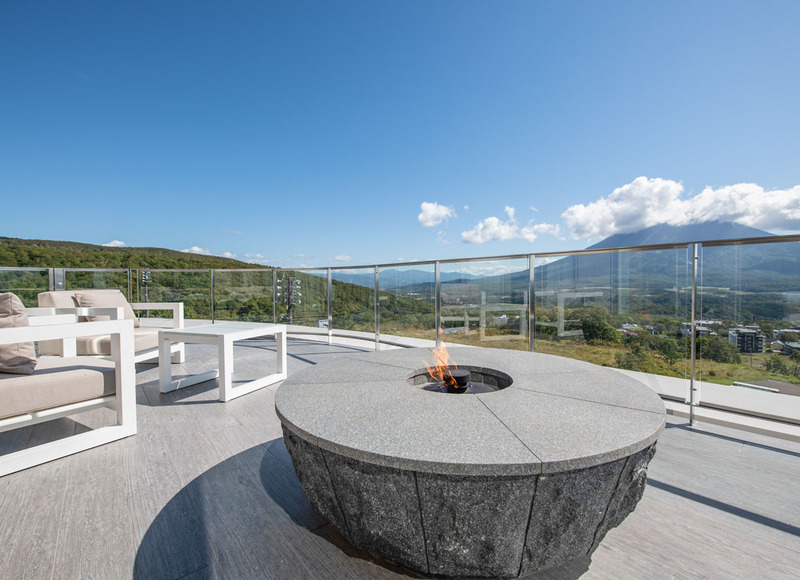 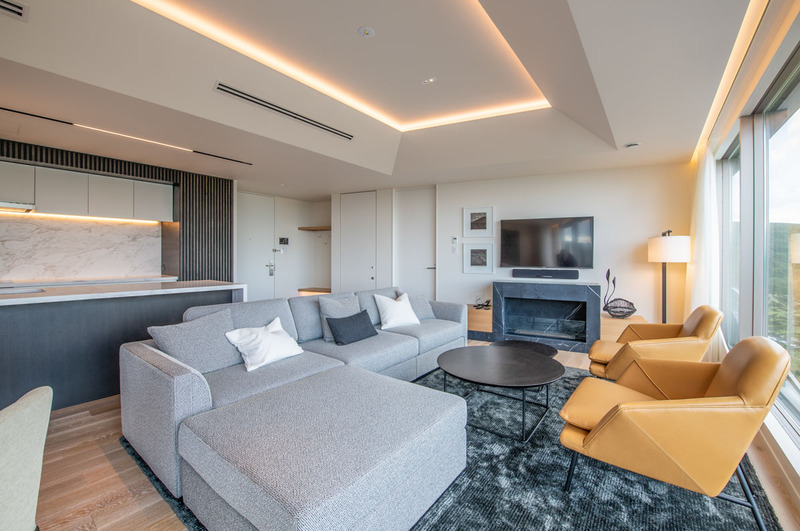 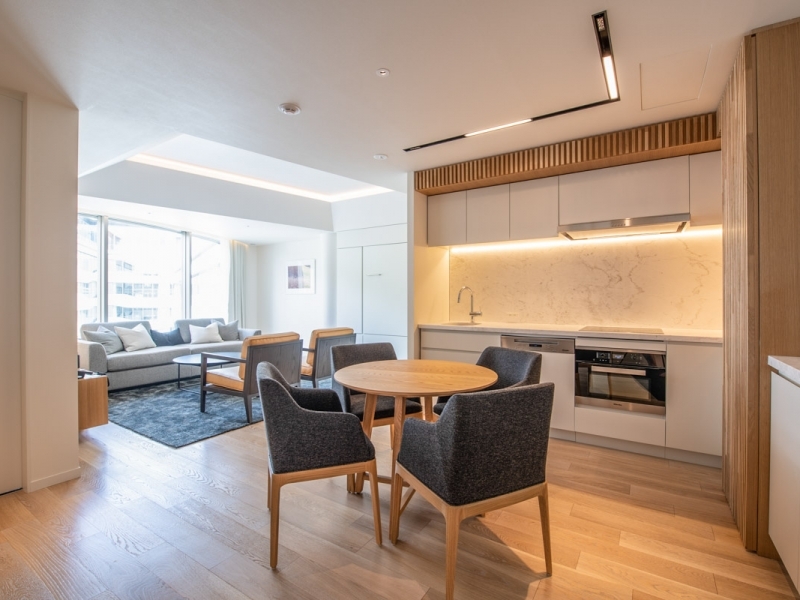 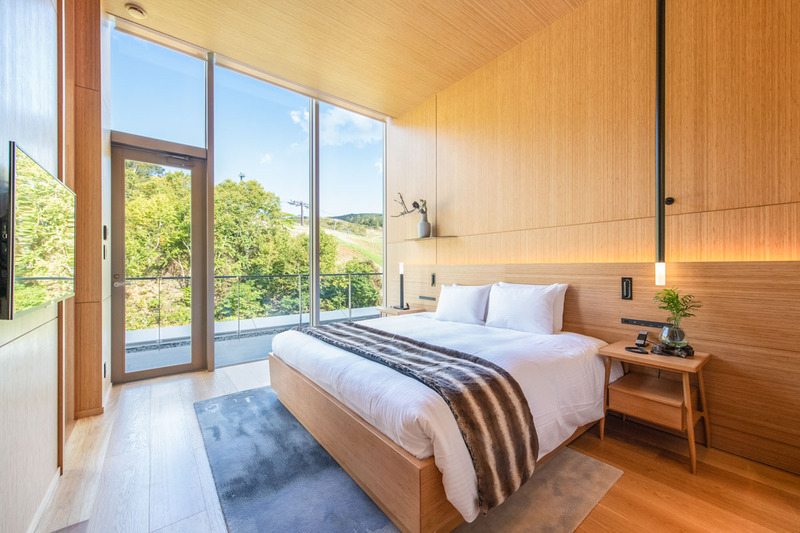 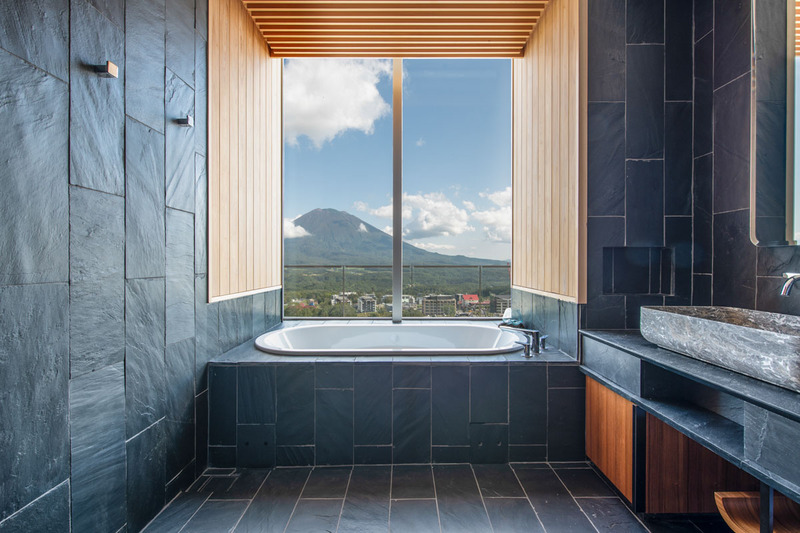 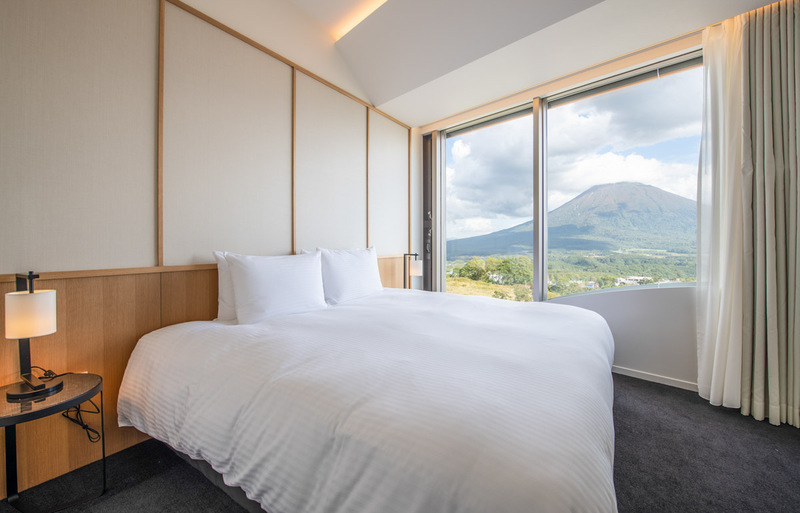 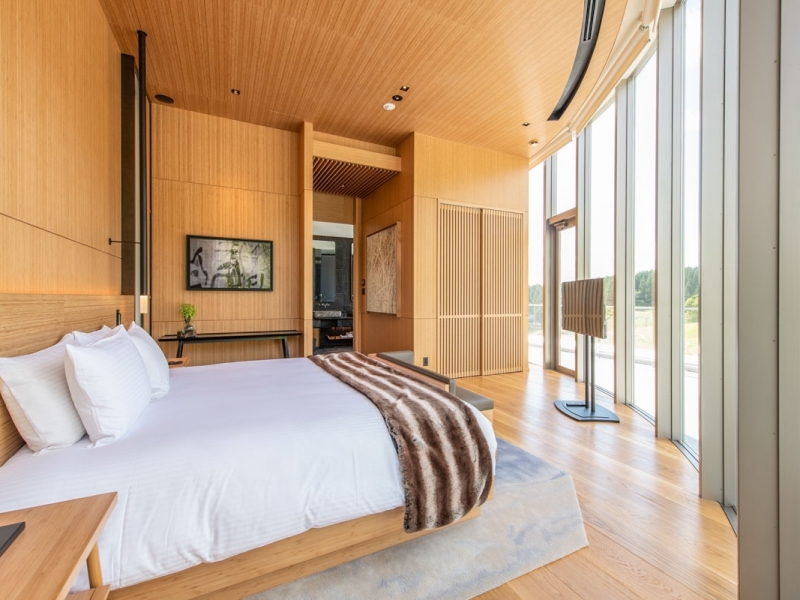 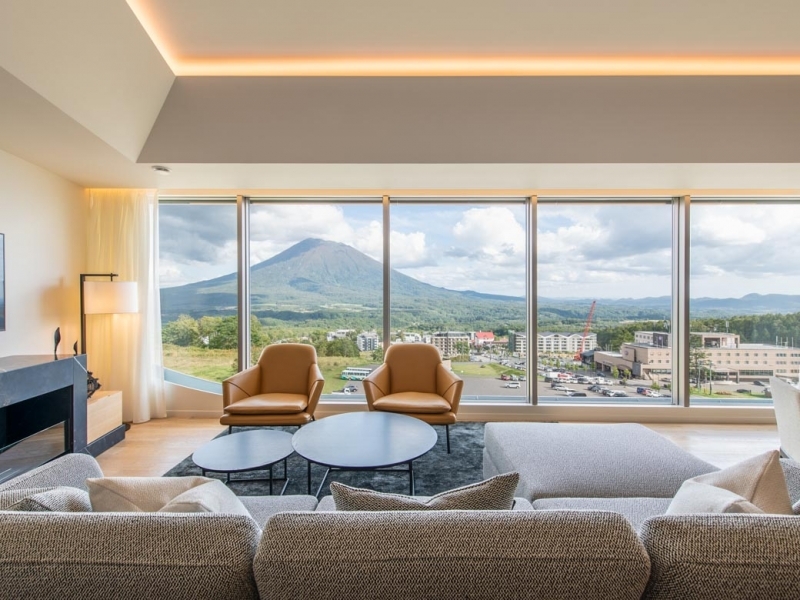 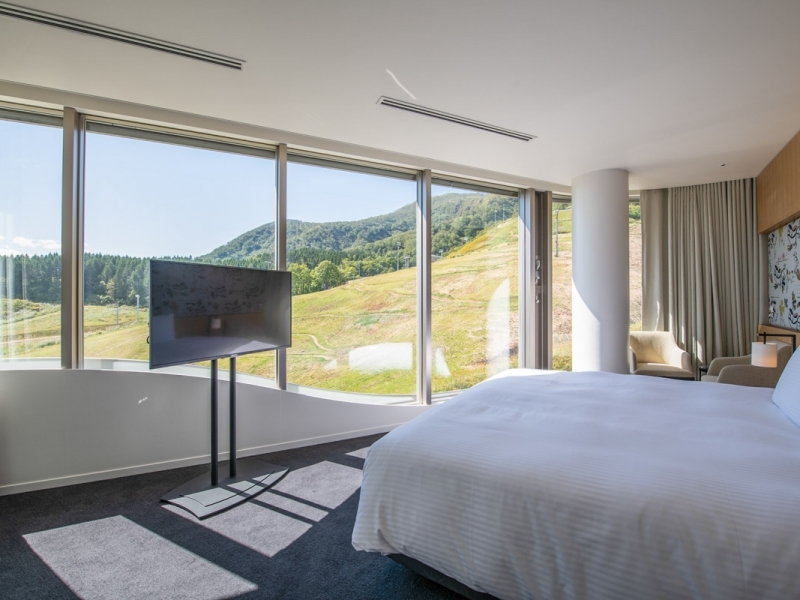 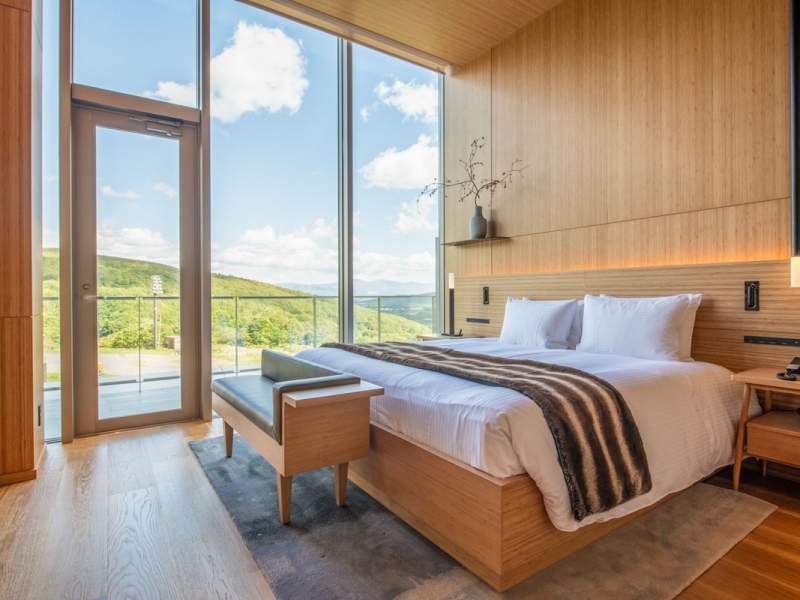 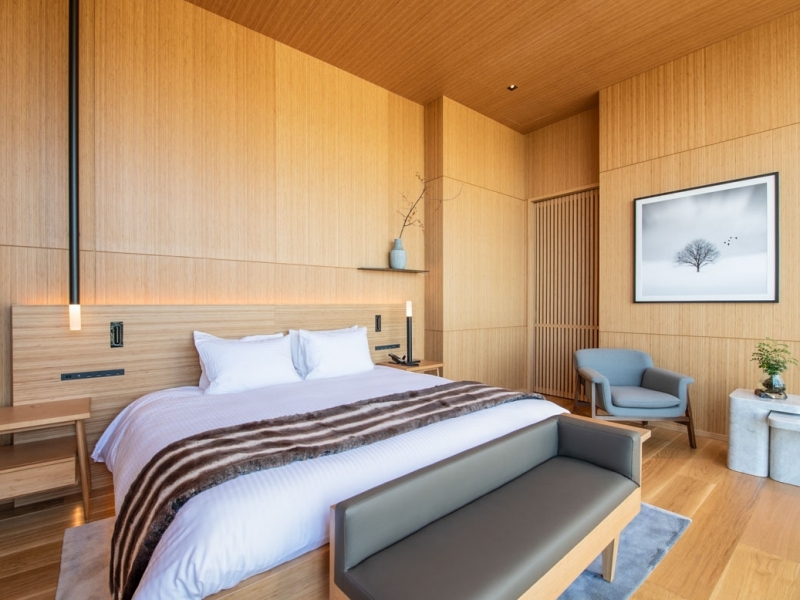 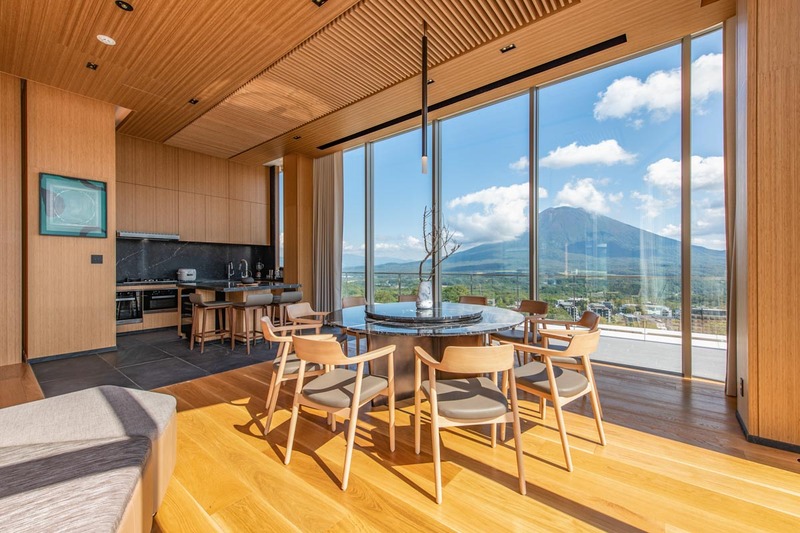 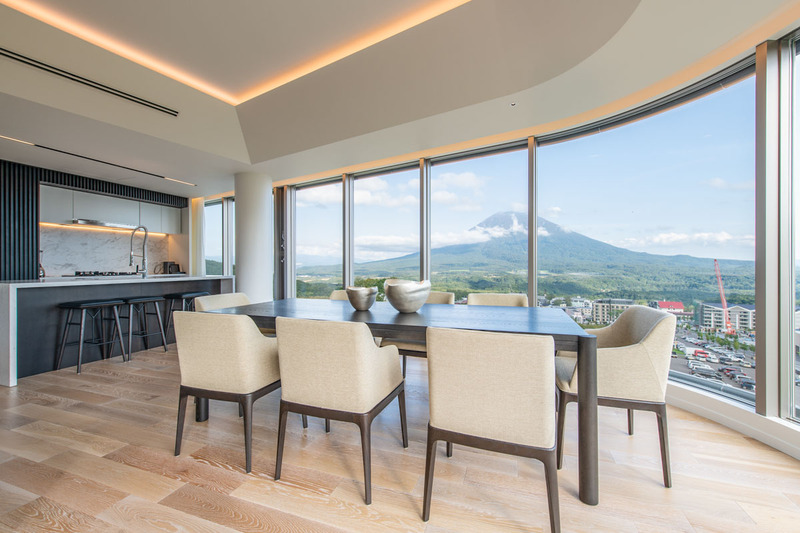 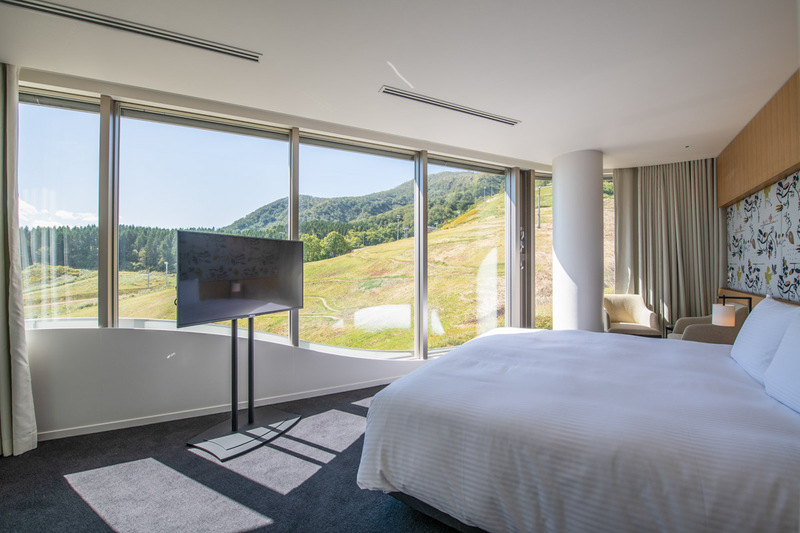 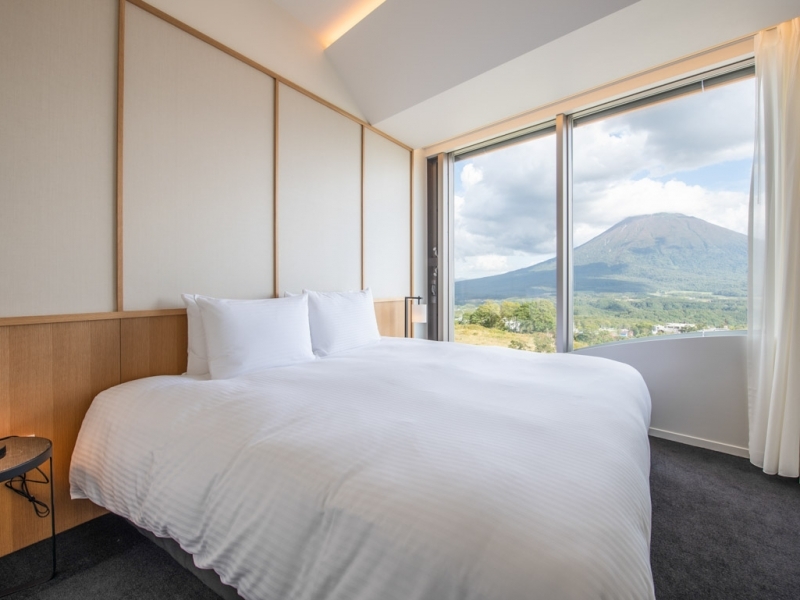 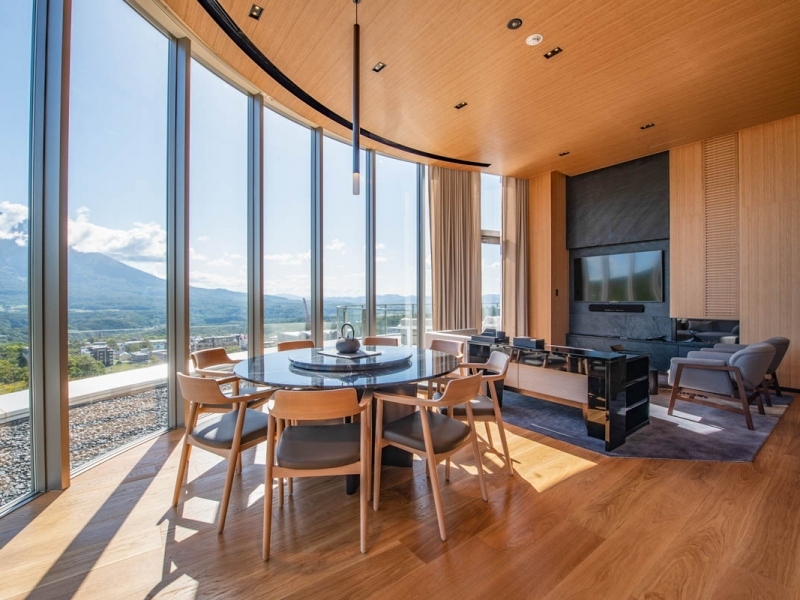 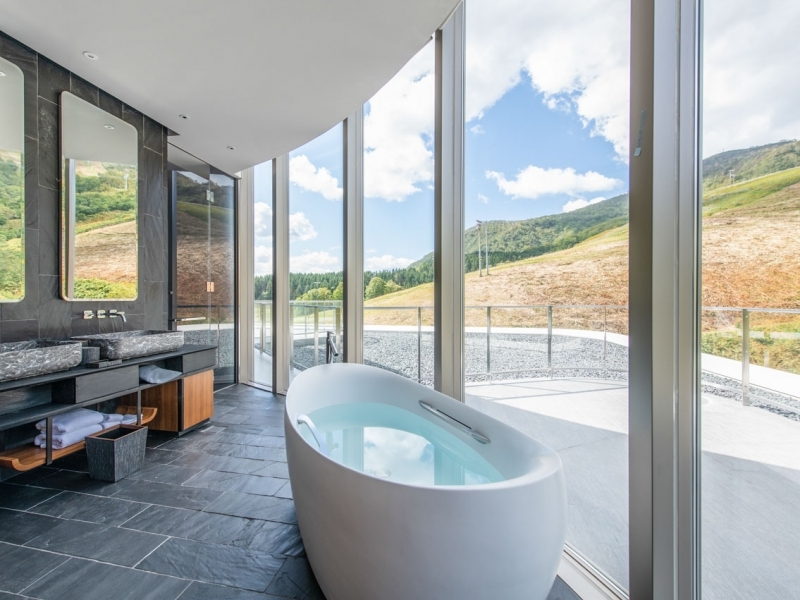 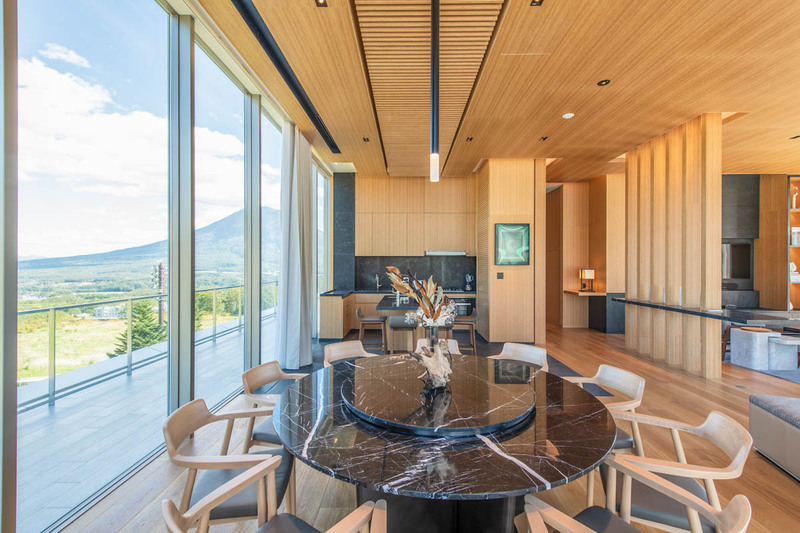 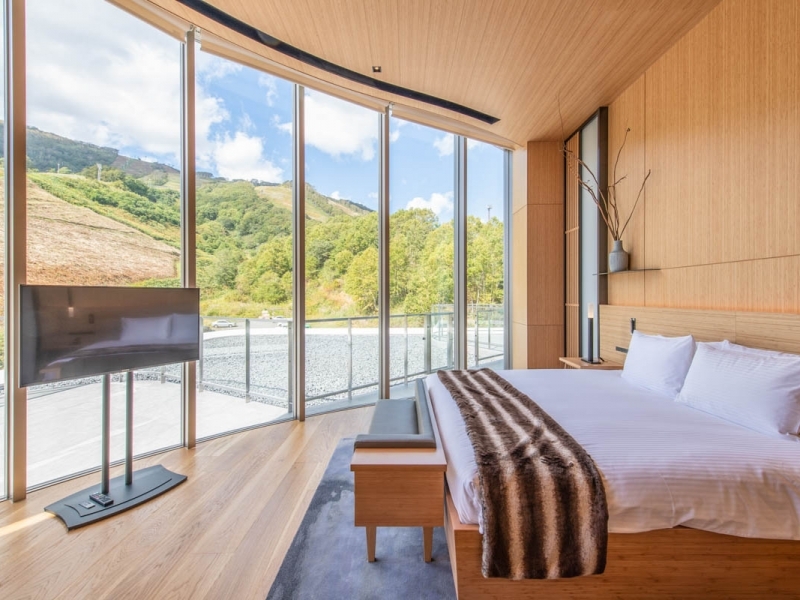 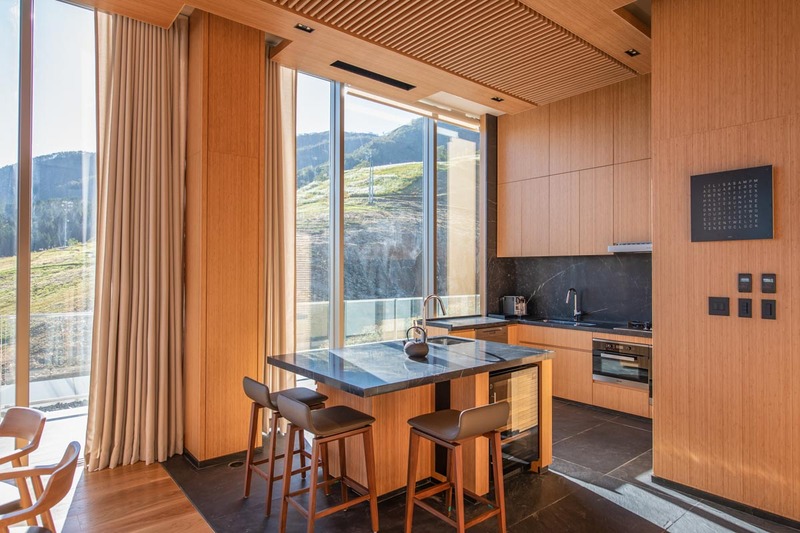 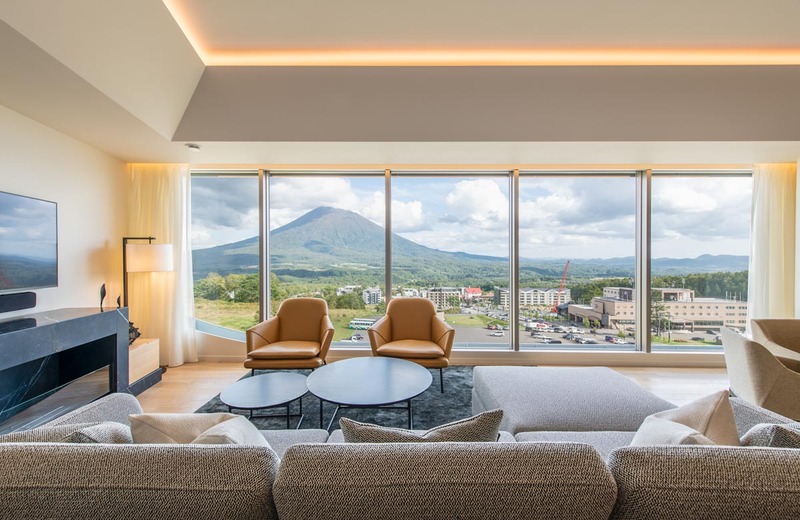 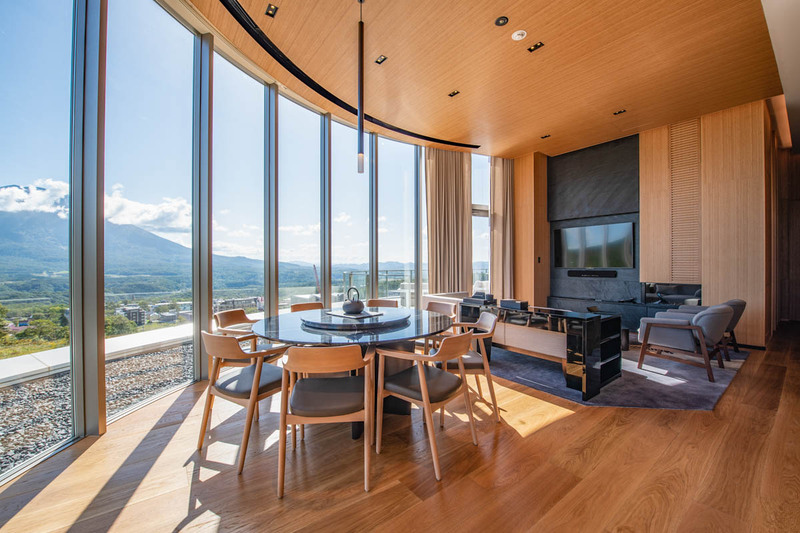 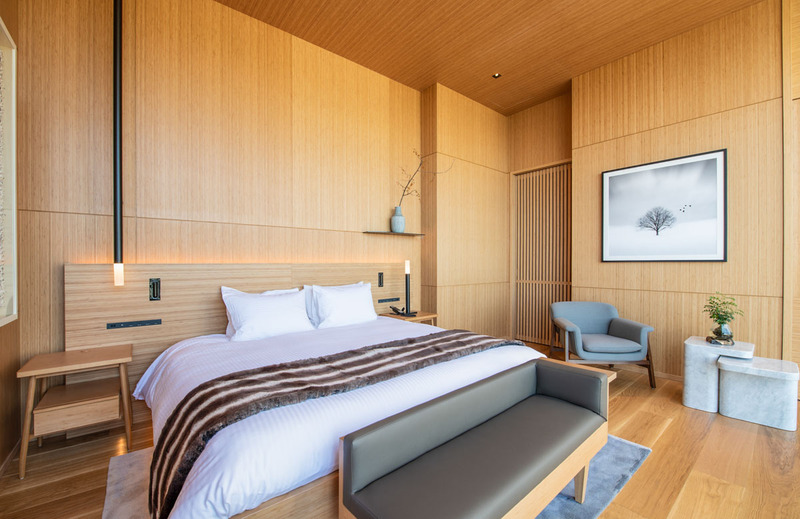 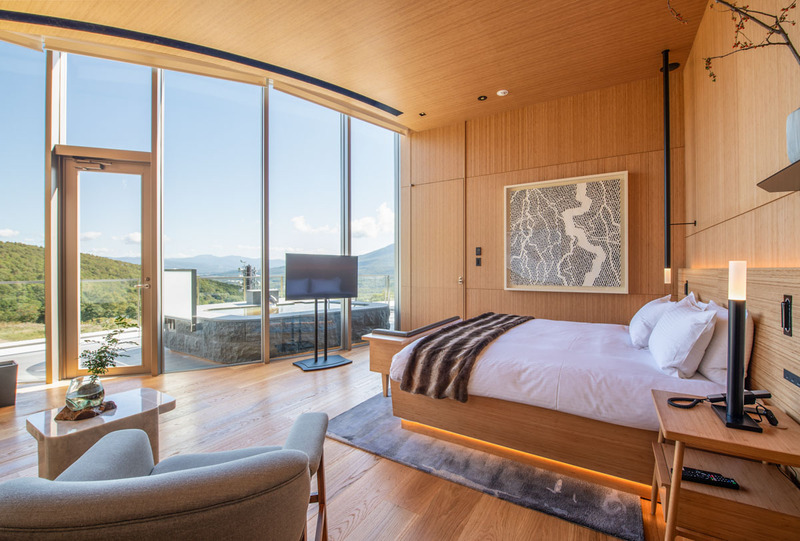 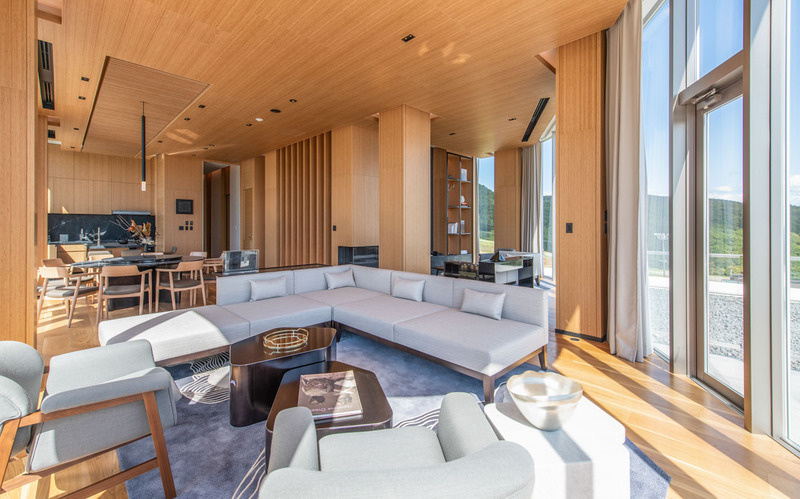 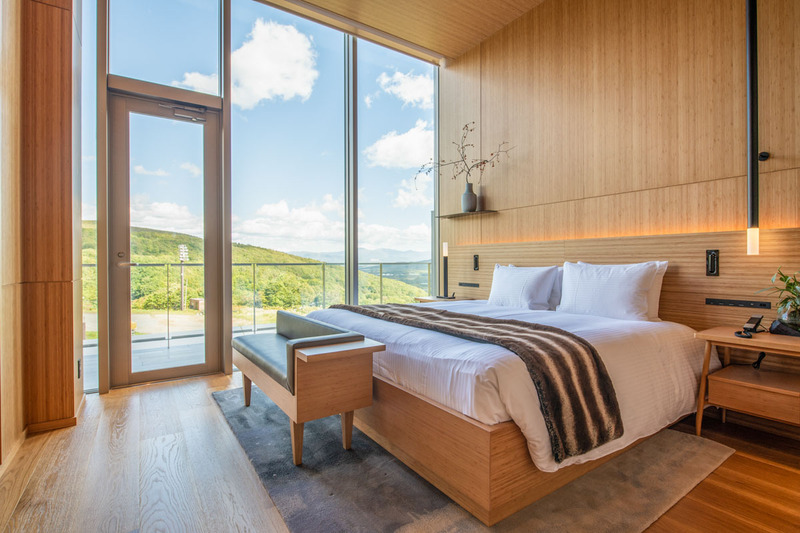 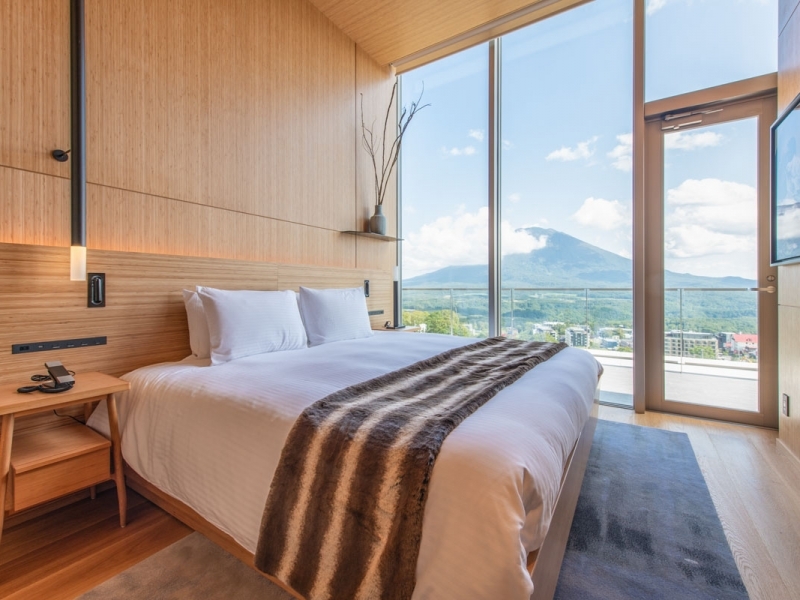 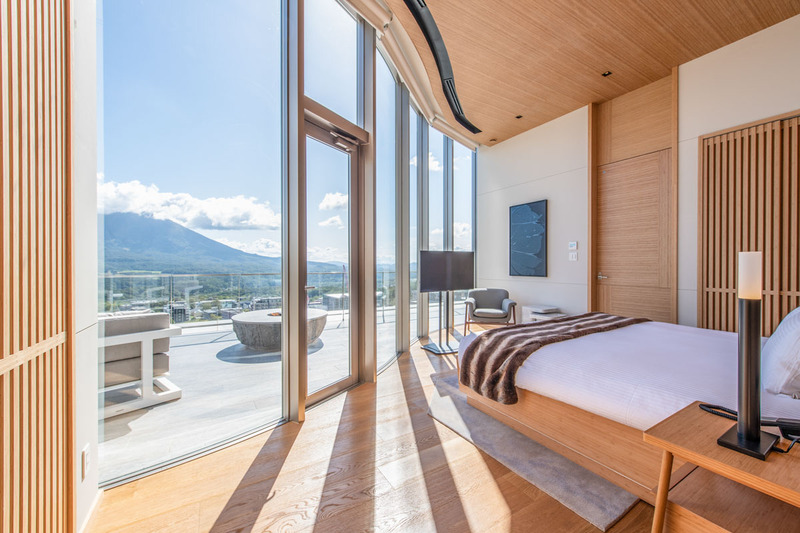 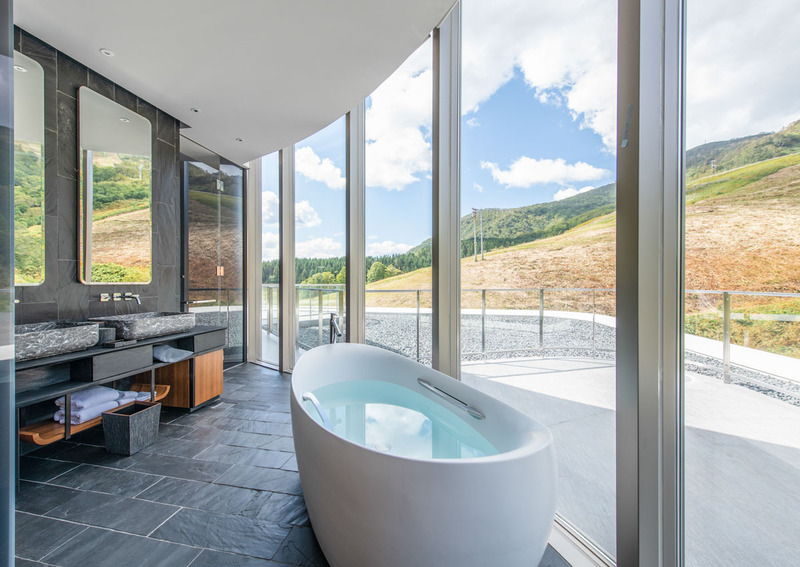 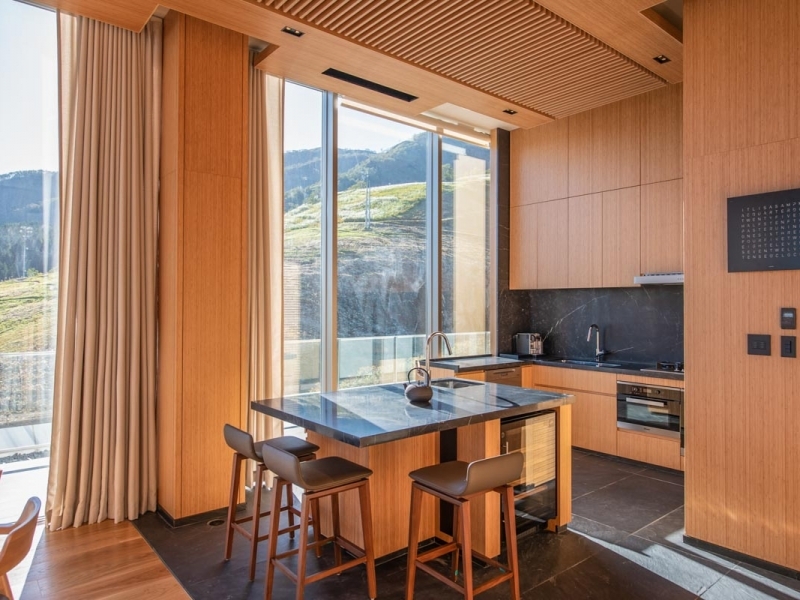 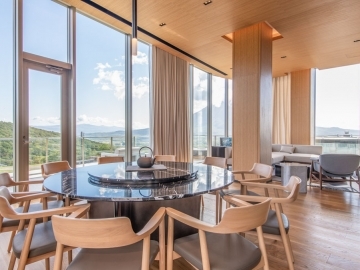 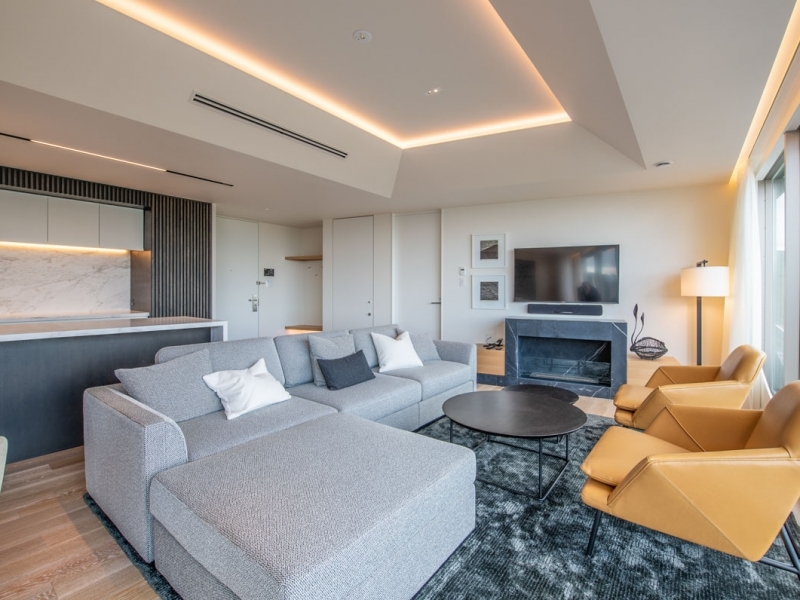 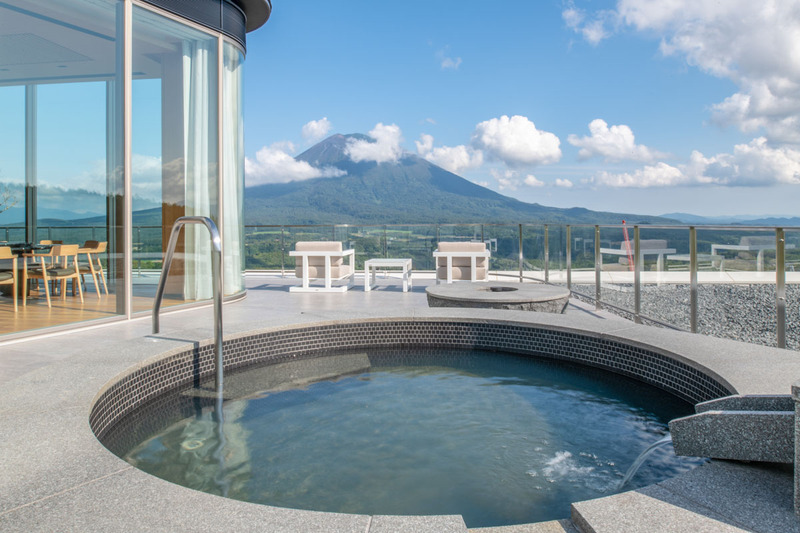 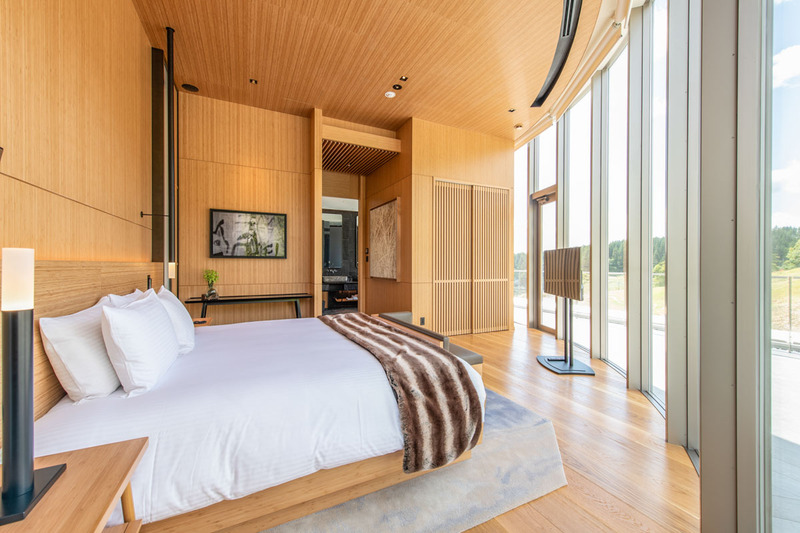 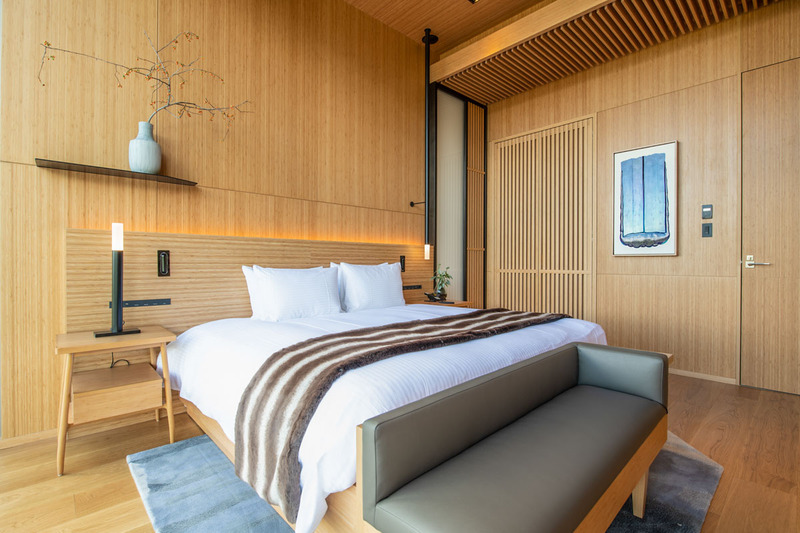 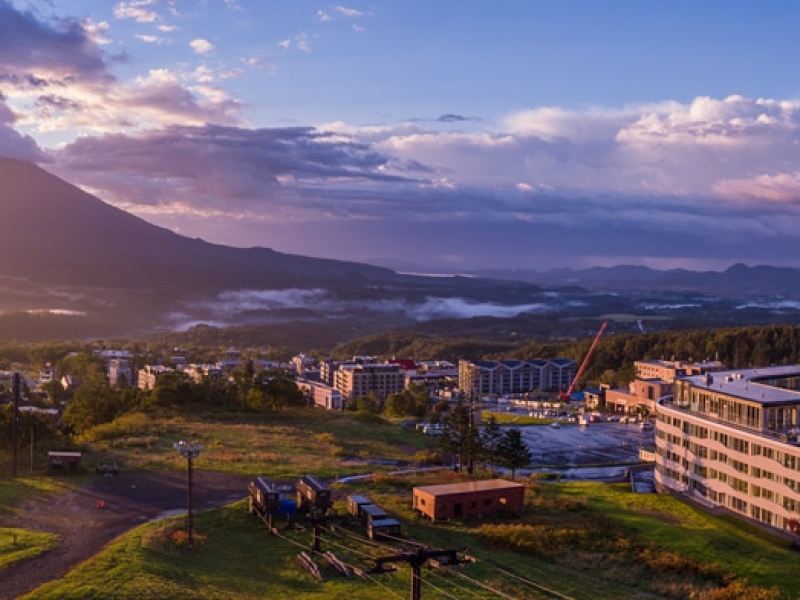 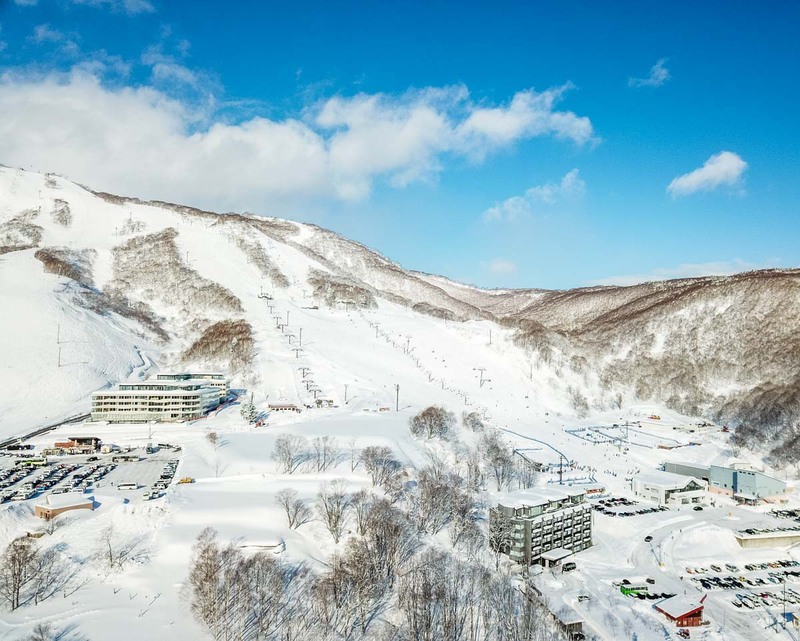 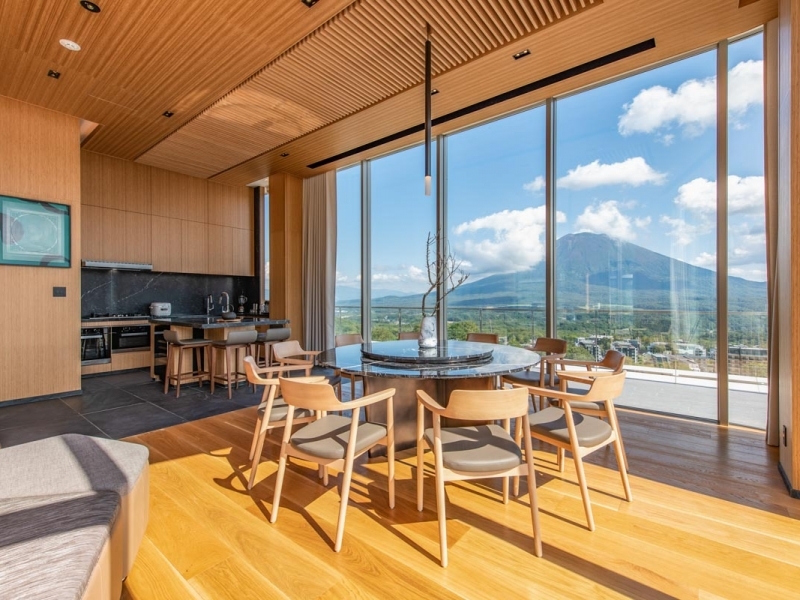 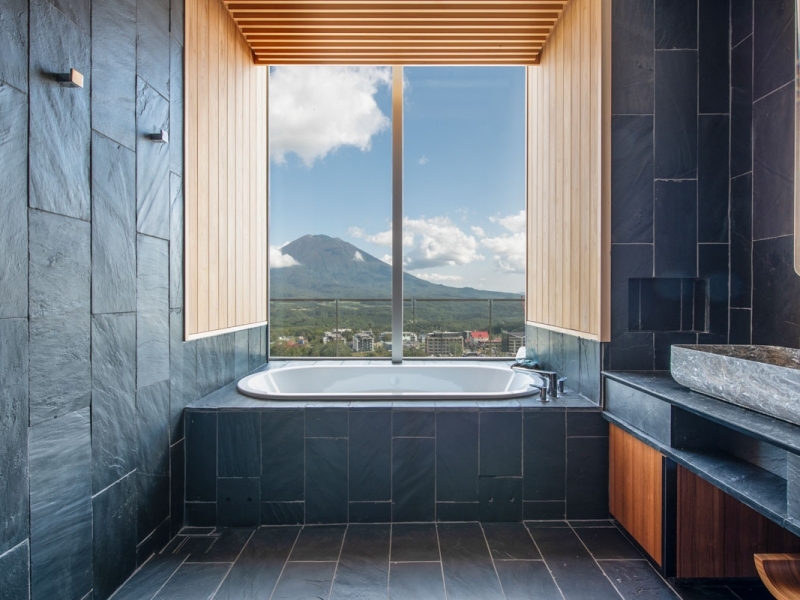 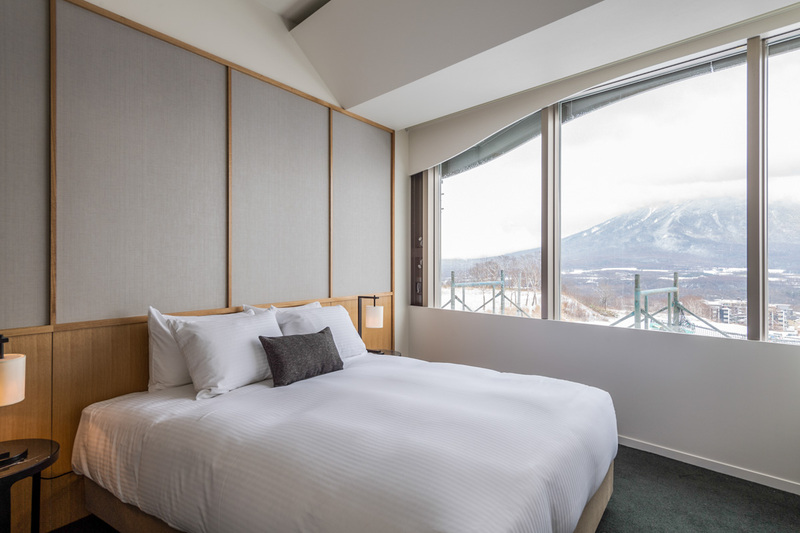 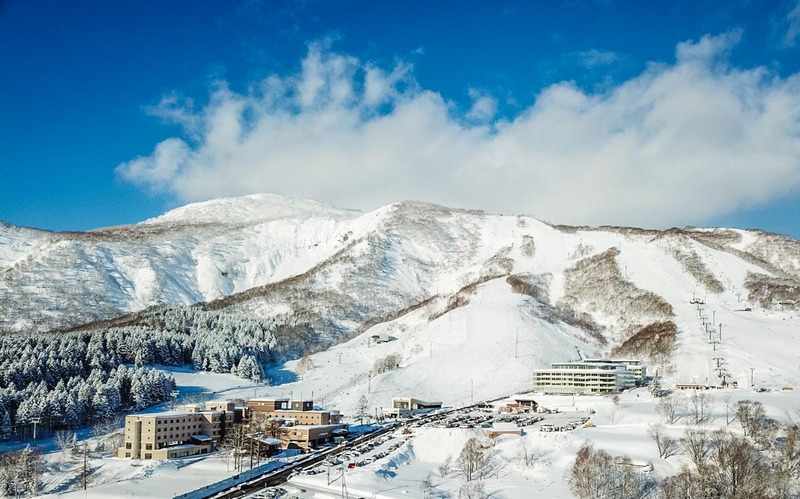 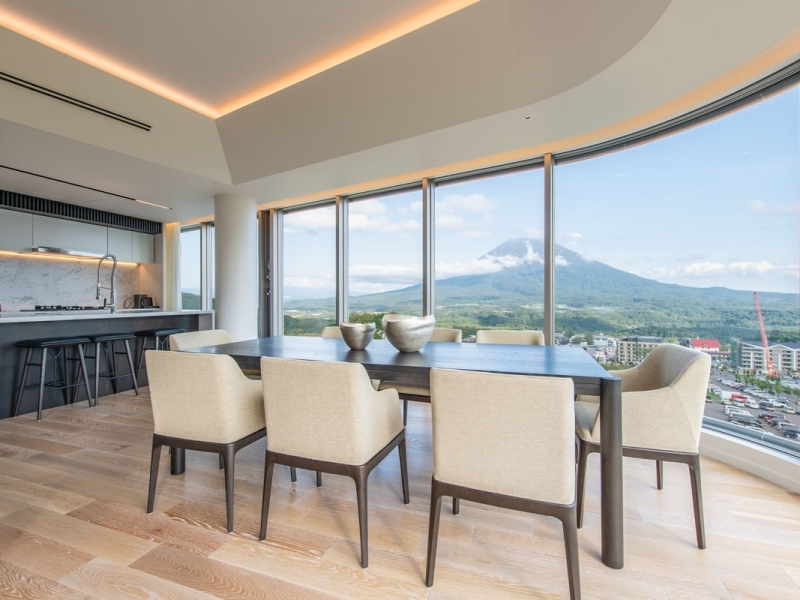 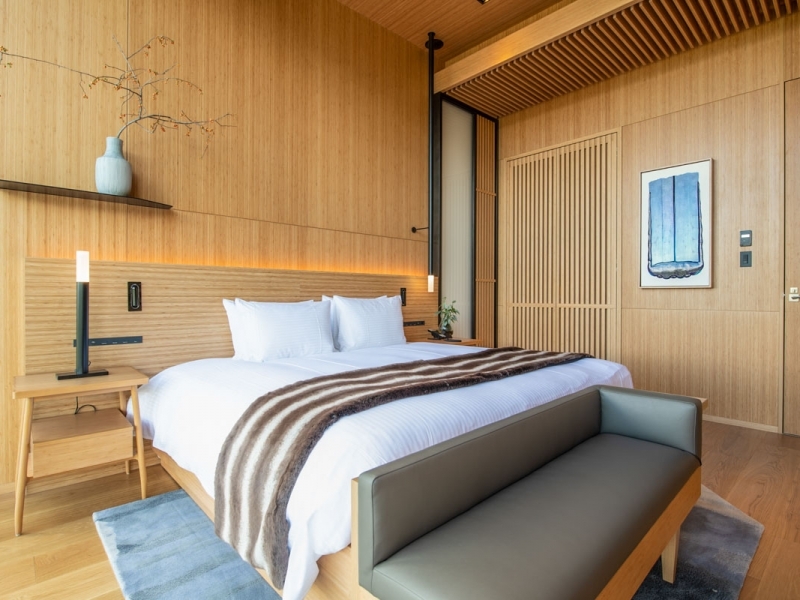 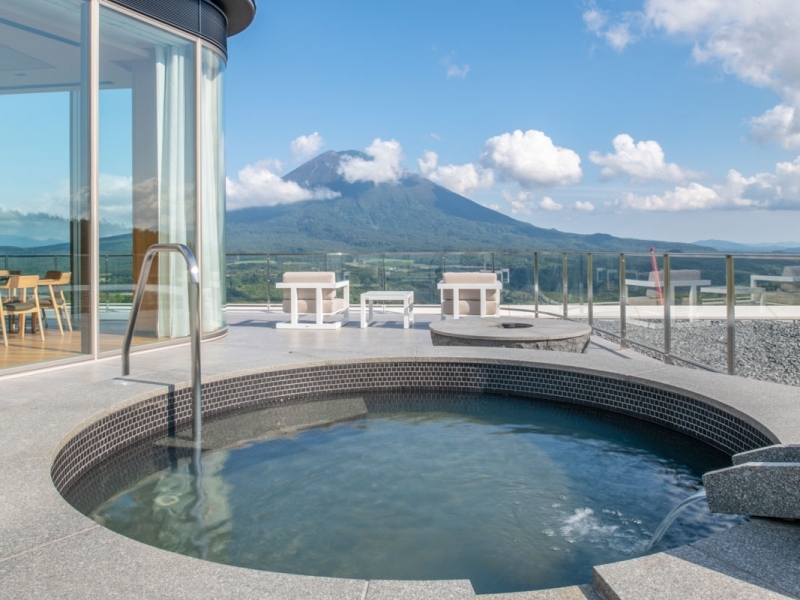 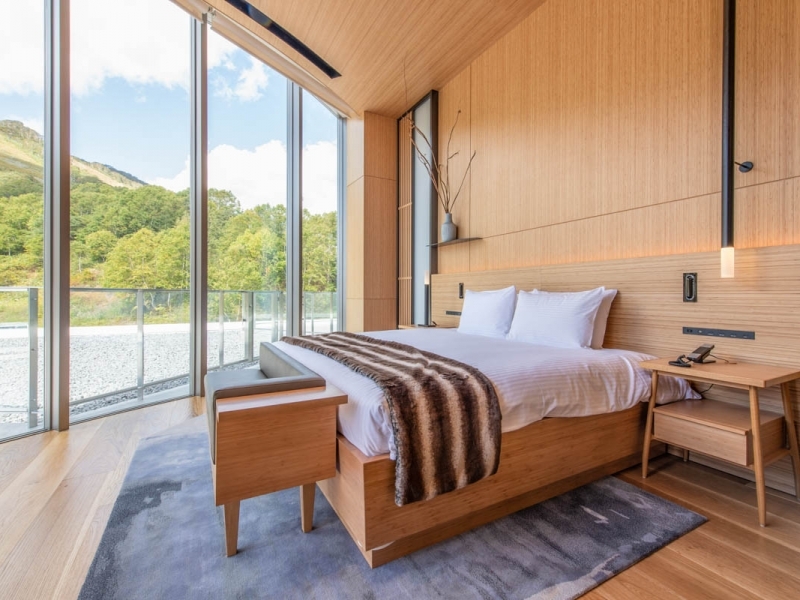 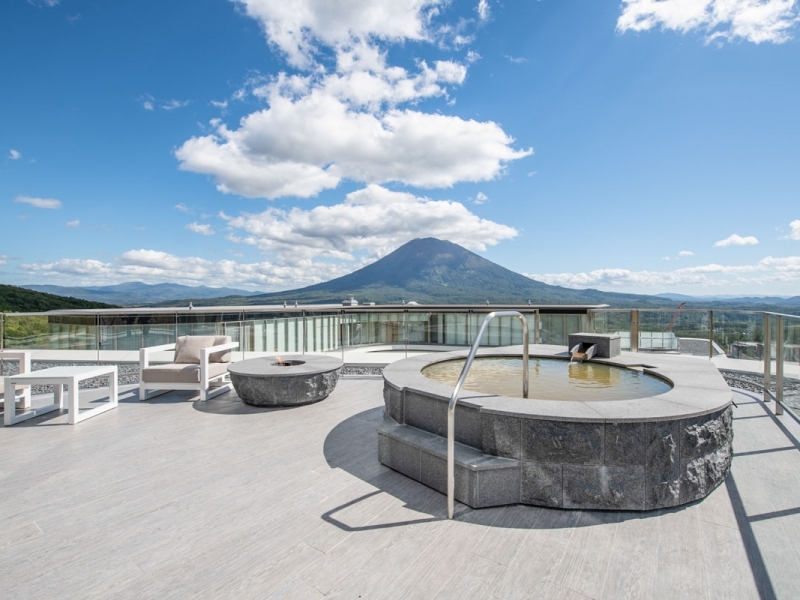 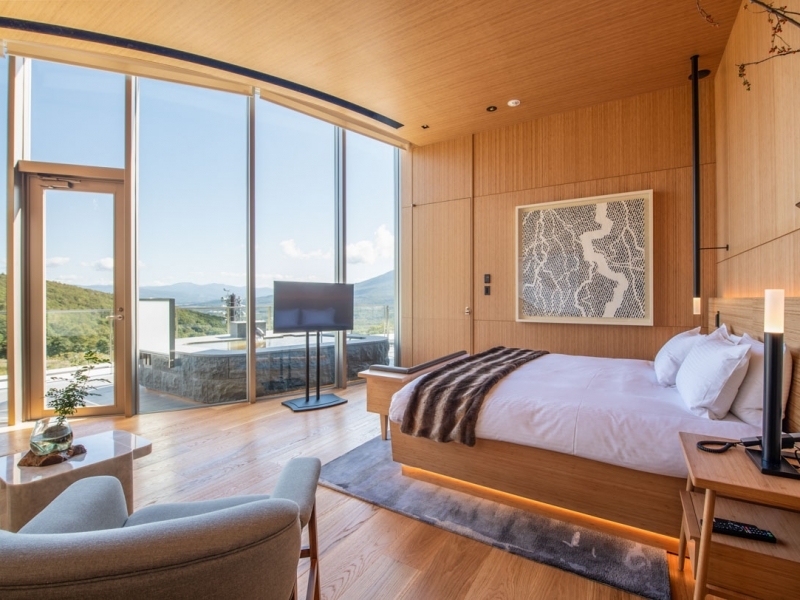 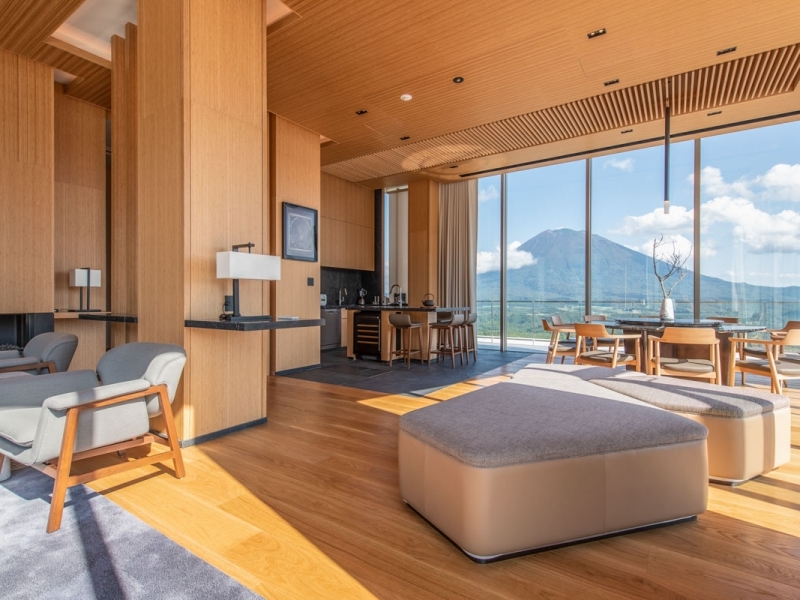 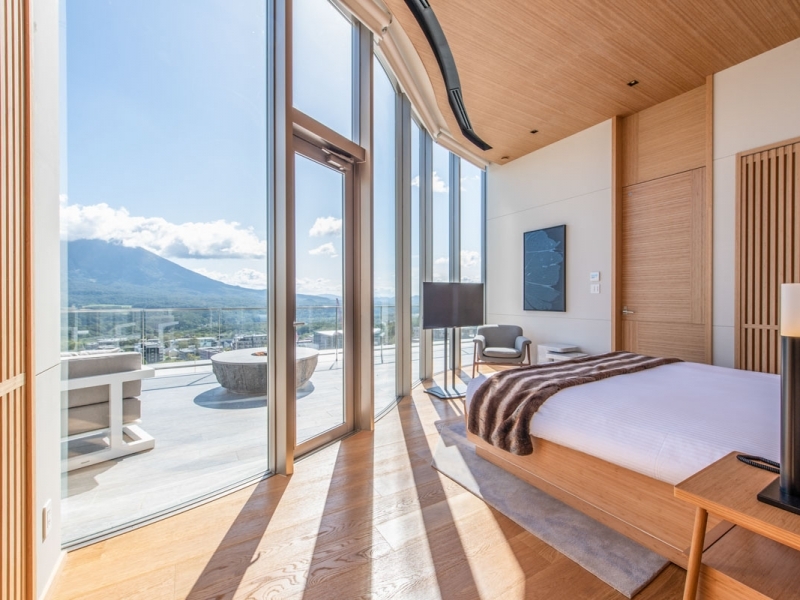 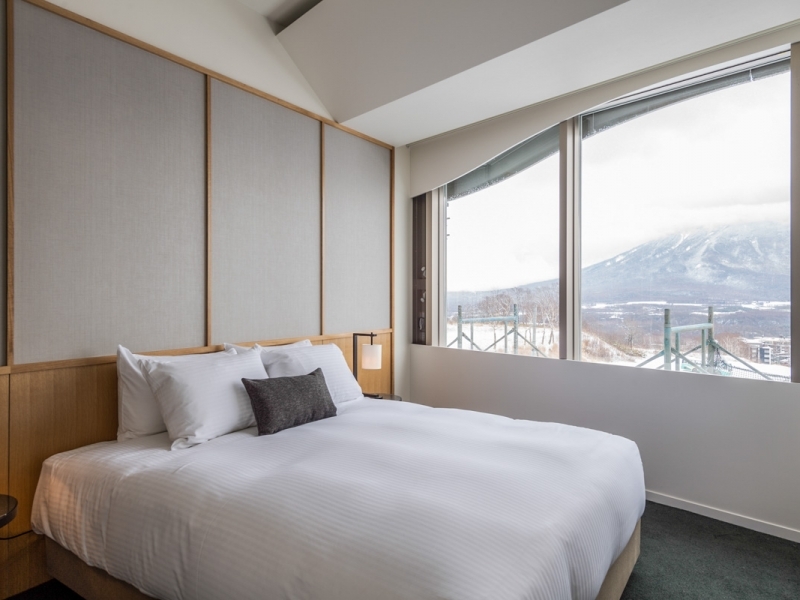 Due to open its doors to guests in December 2018, located within Japan’s Niseko Grand Hirafu Resort area in Hokkaido, Skye Niseko will be a privately owned condominium-hotel with ski in ski out access in upper Hirafu. 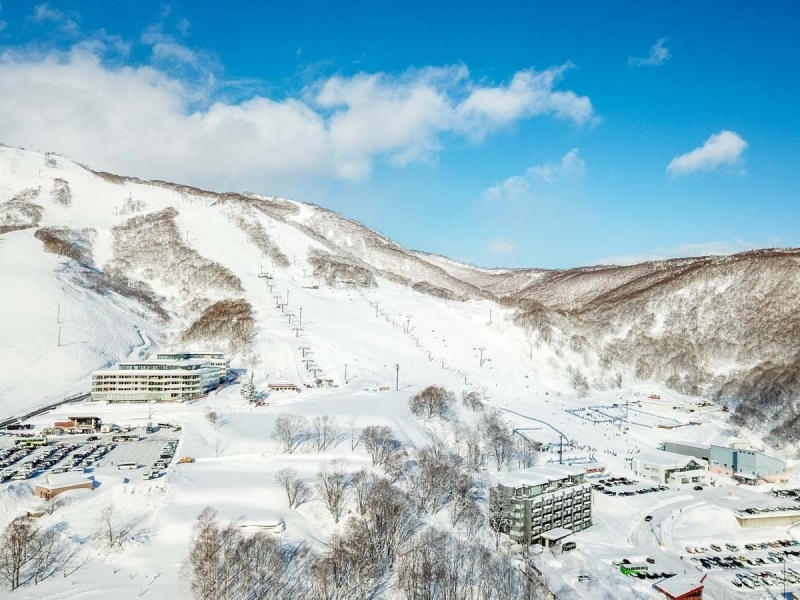 The property’s unique location, positioned above the village of Hirafu, provides skiers with direct ski in–ski out access to all major Grand Hirafu lift systems. 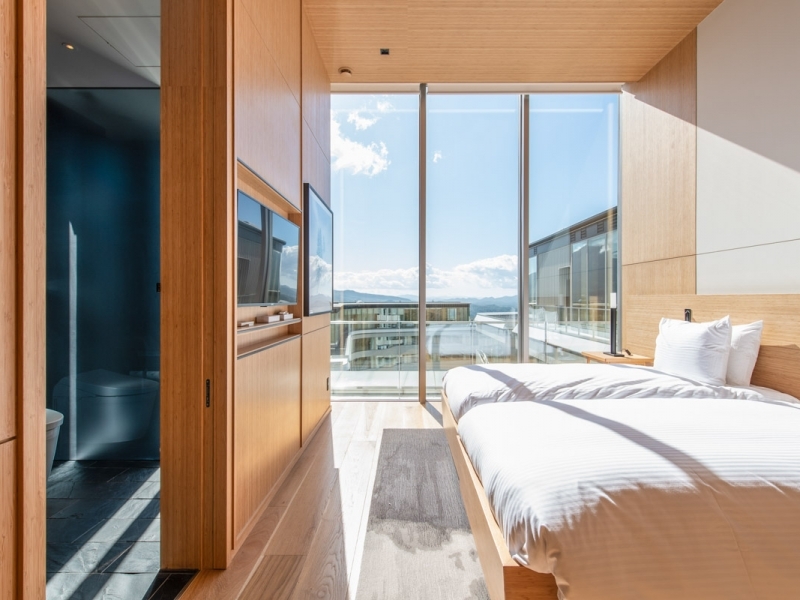 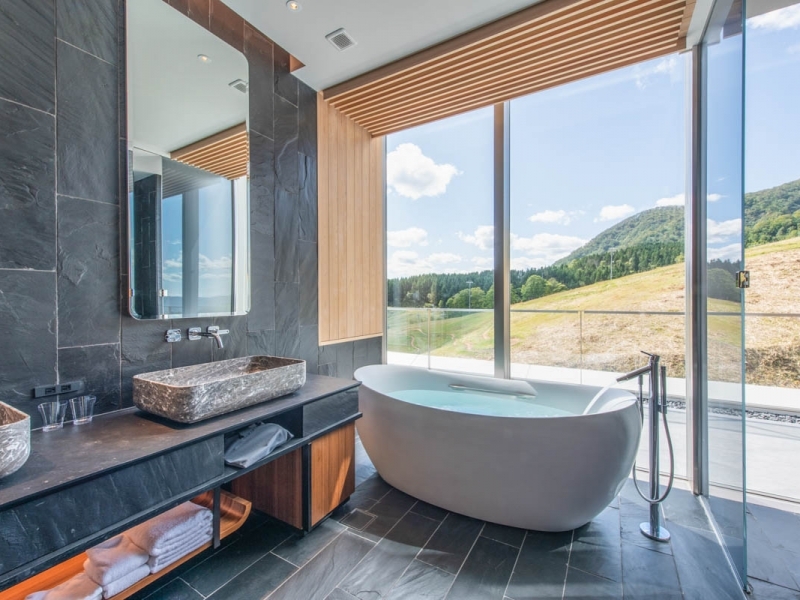 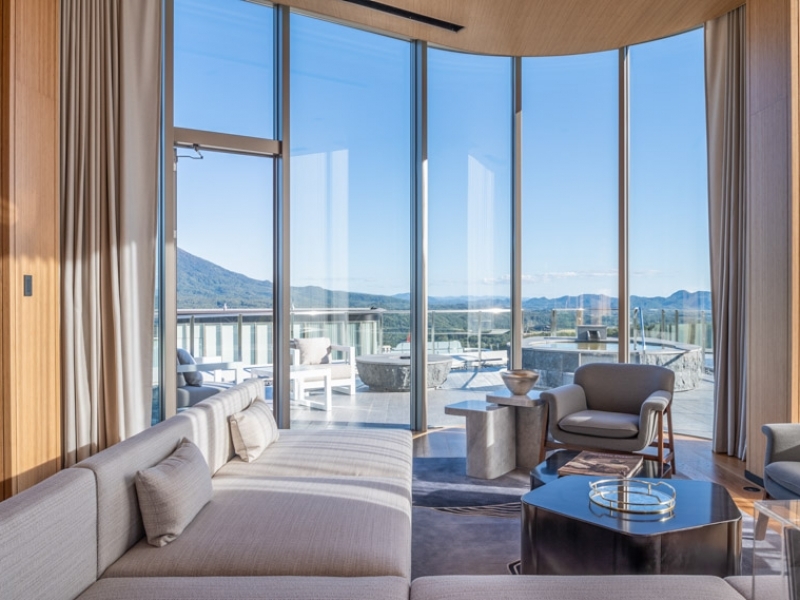 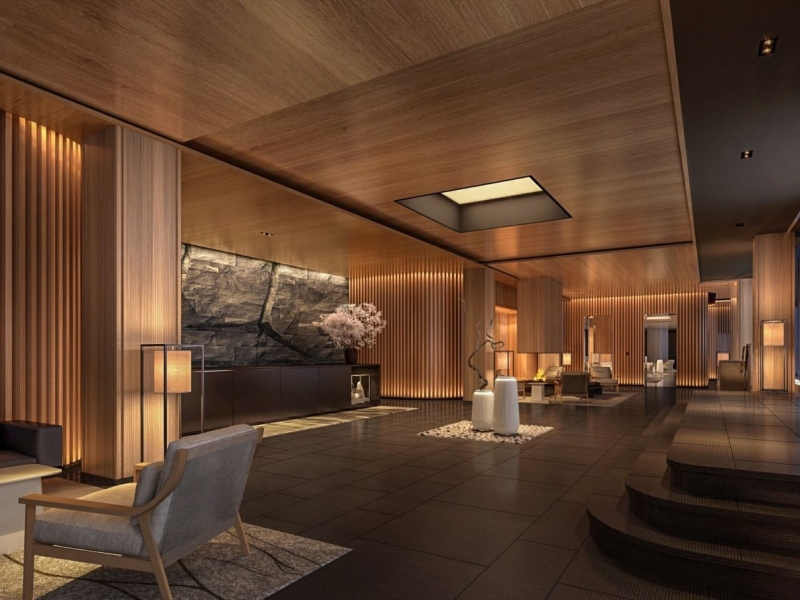 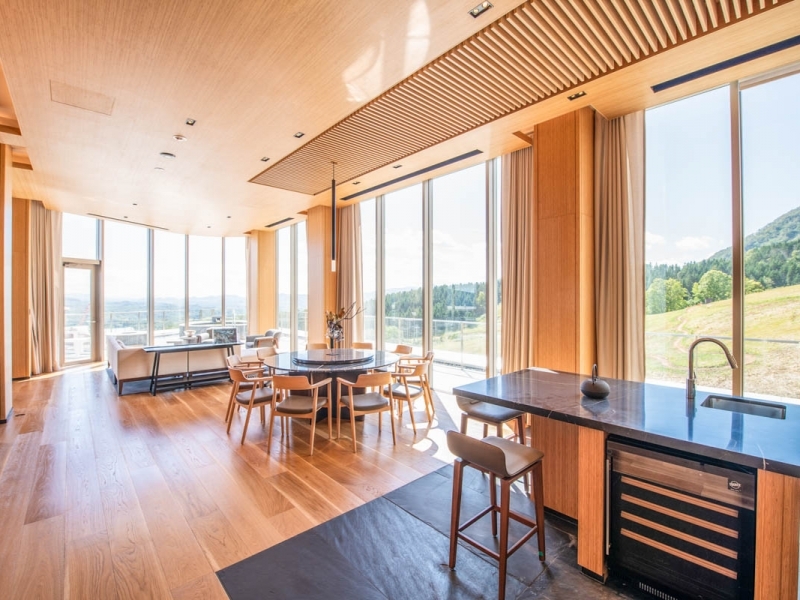 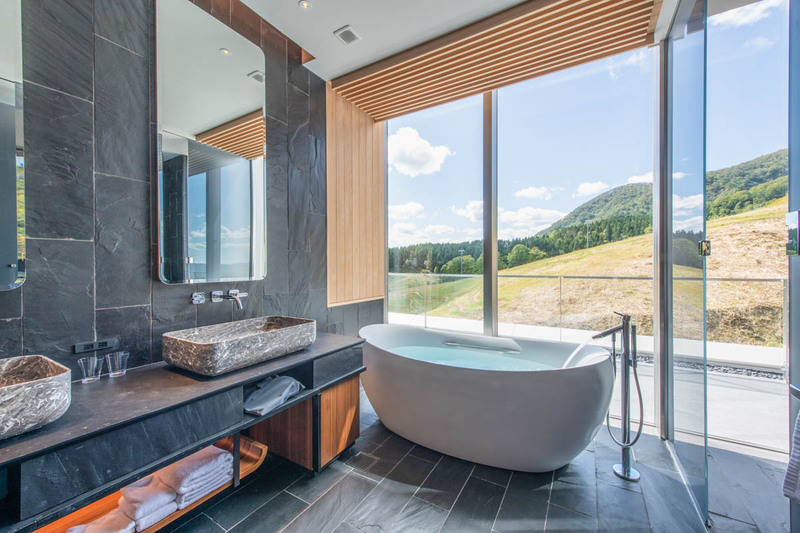 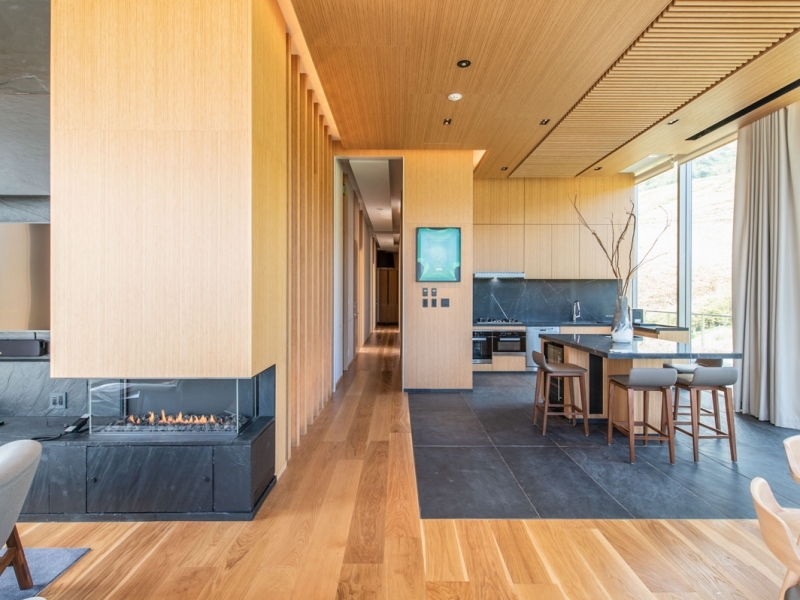 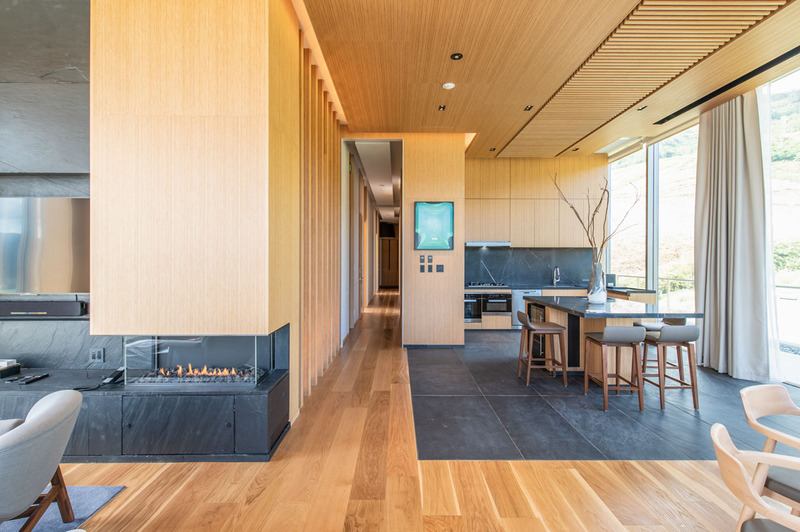 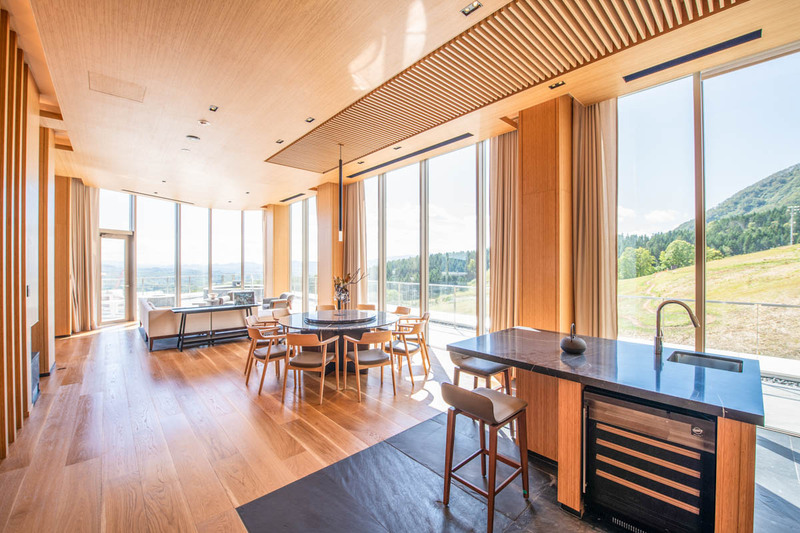 The extensive suite of amenities will include the village largest restaurant & bar, delicatessen & coffee shop, onsen, spa, fitness center, ski valet and a ski valet shop offering ski and snowboard rental. 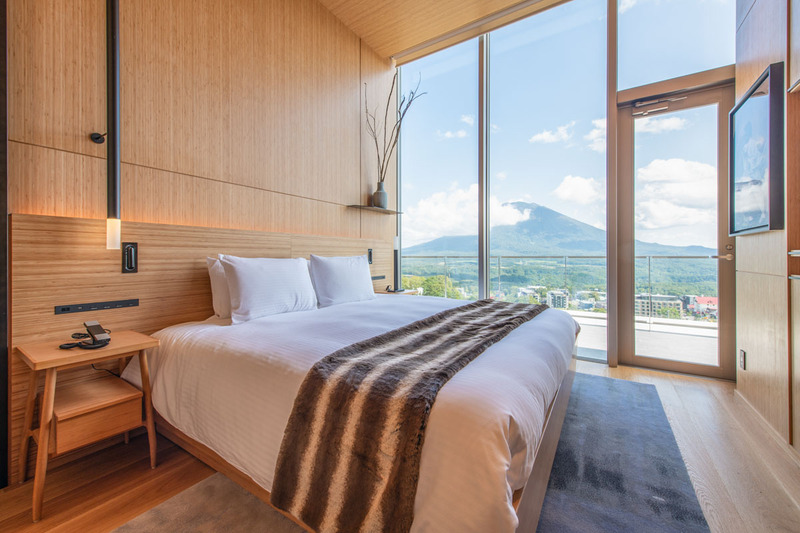 All rooms feature superior design with beautiful appointments and furniture, exquisite stone and wood finishes. 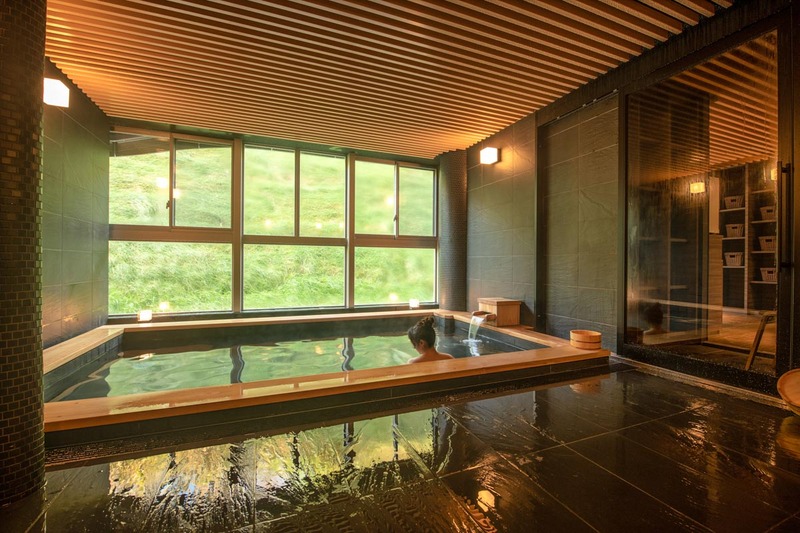 Hotspring baths – shared and 3 private baths. 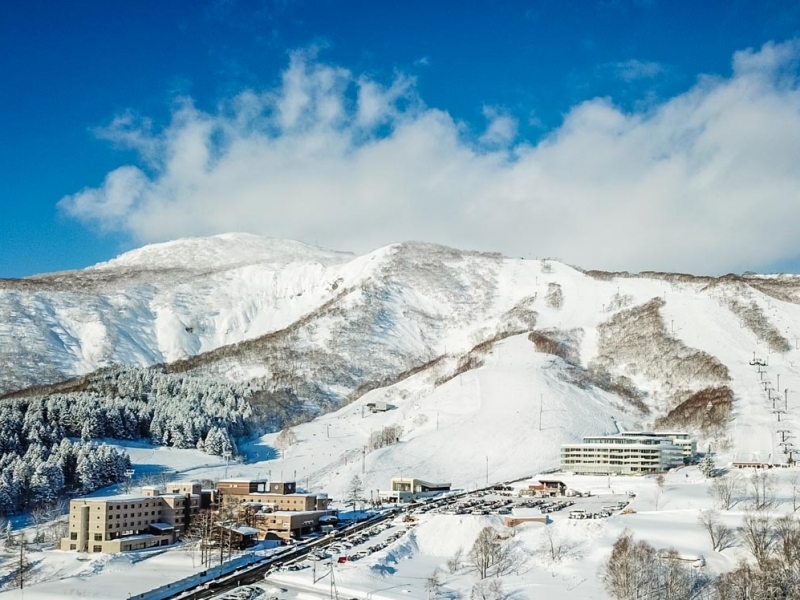 The hotel will offer ideal ski-in ski-out access. 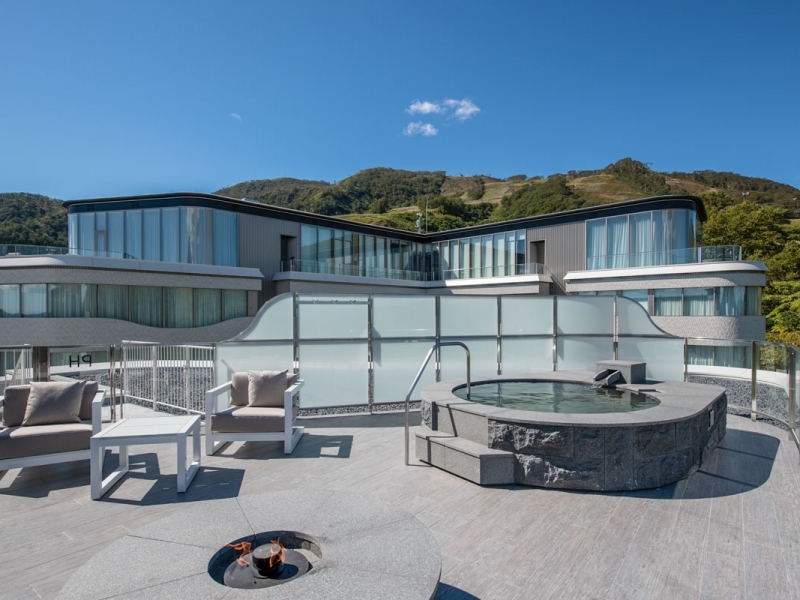 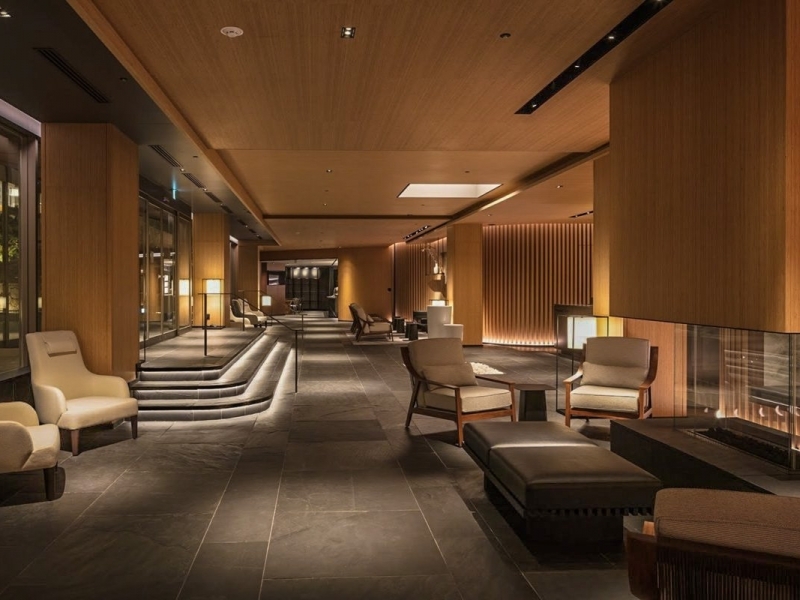 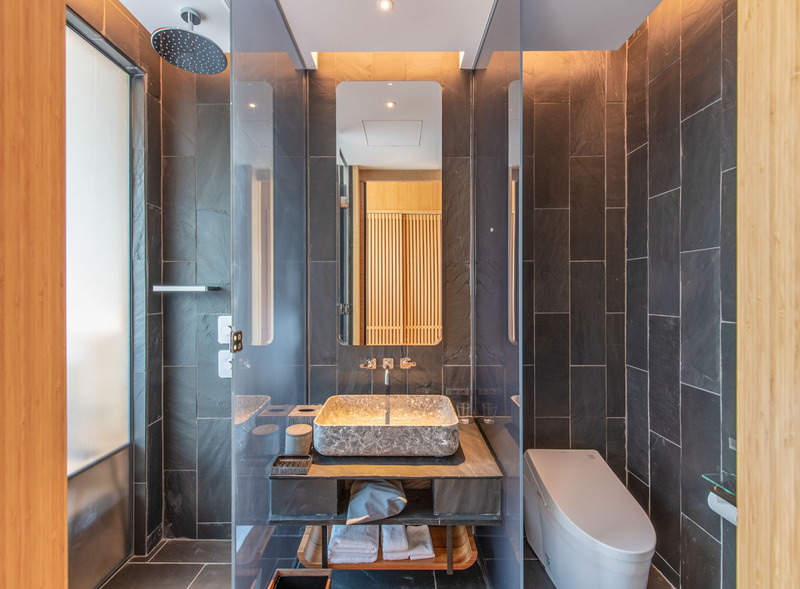 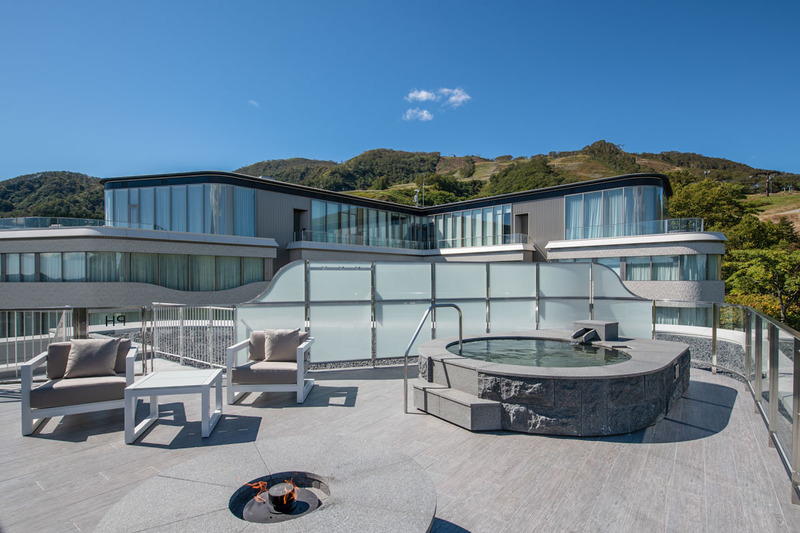 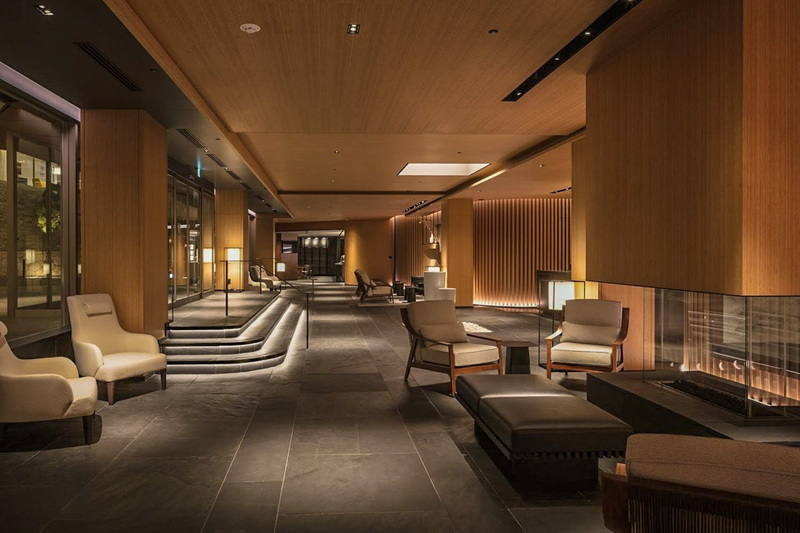 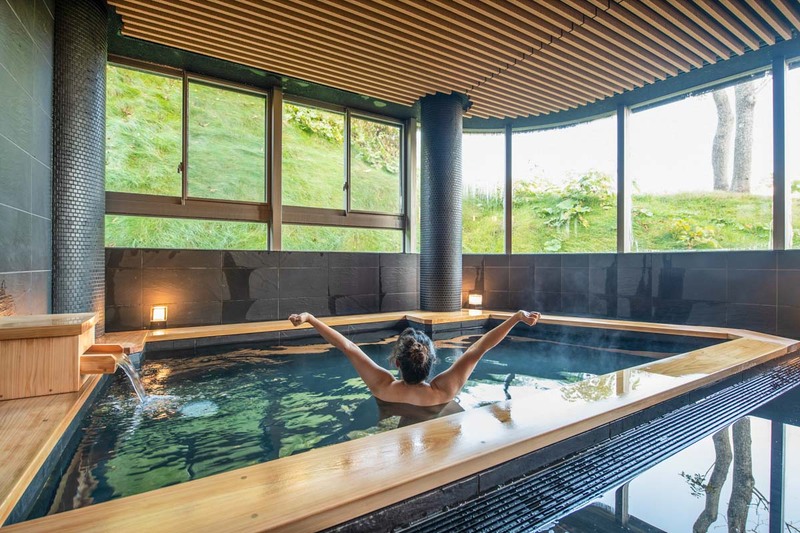 With its own onsen well drawing mineral-rich hot water from deep below the hotel, the men’s and women’s onsen let you unwind after a day in the snow or in the shops. 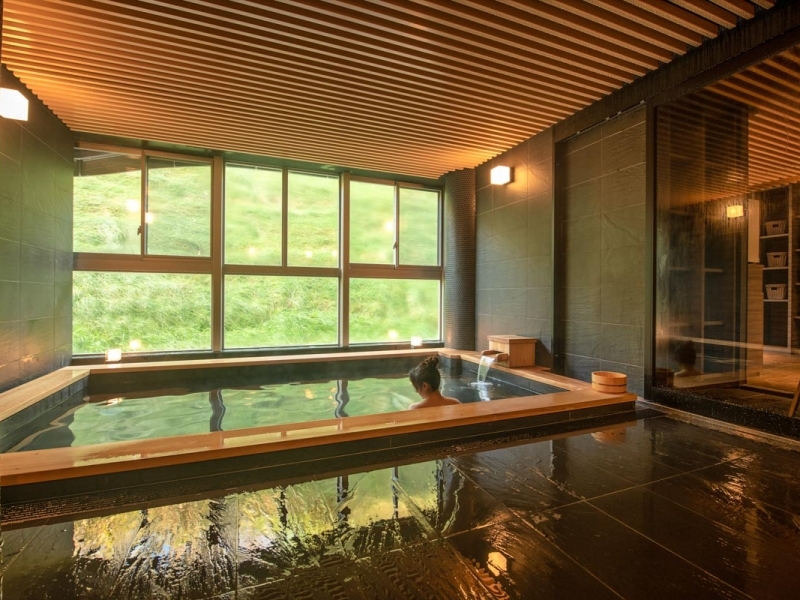 For total seclusion try one of the private onsen. 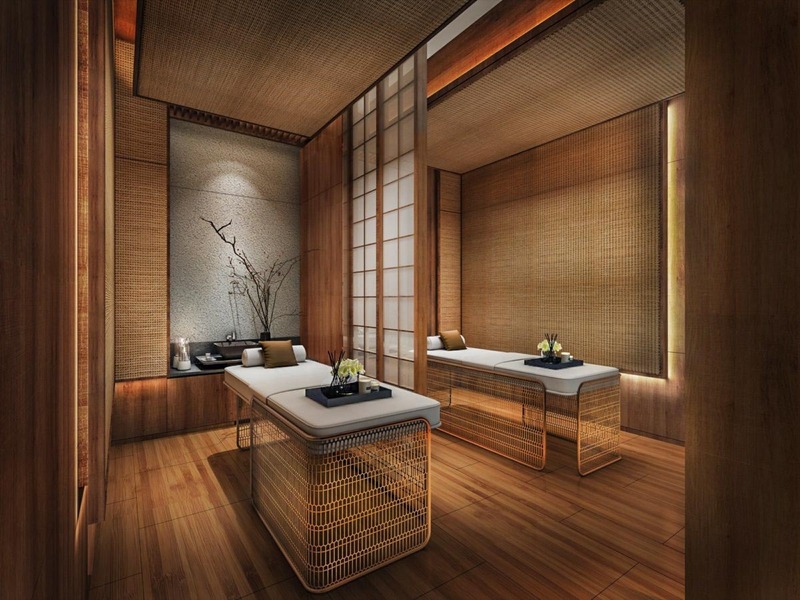 Enjoy a wide range of services to restore and refresh your mind, body and spirit at in-house Ryko Spa. 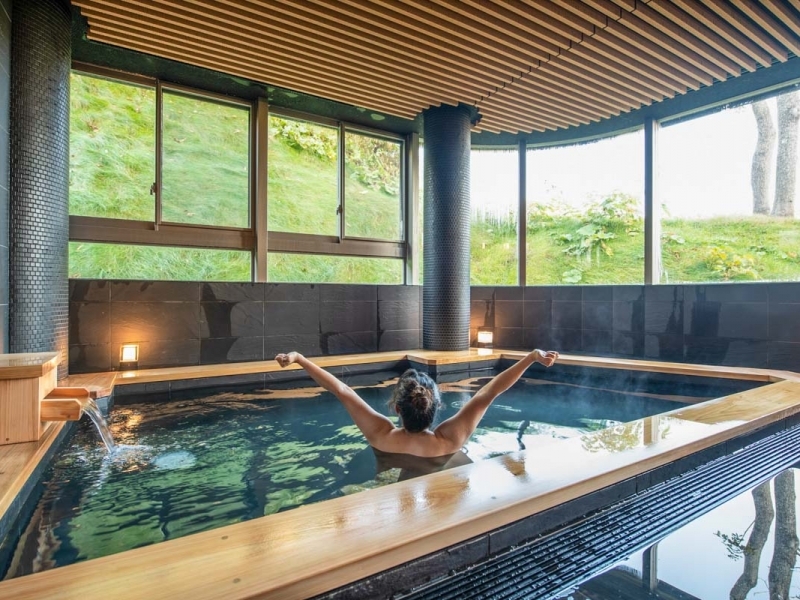 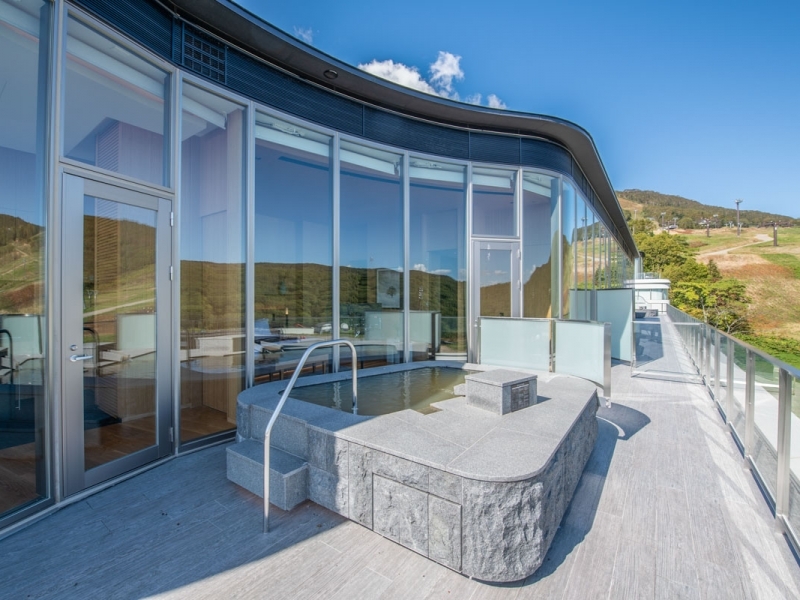 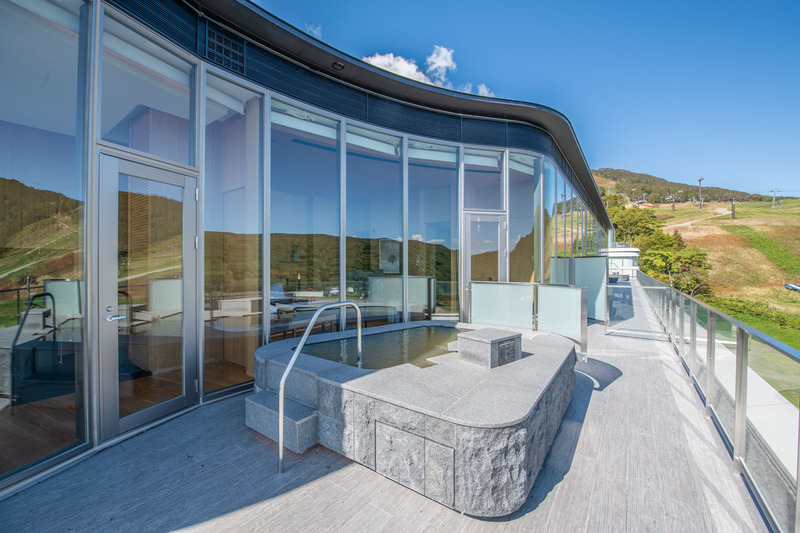 Services include physiotherapy, invigorating massages, facials and full body treatments utilising premium skincare and technology, and weightlessness experiences (perfect for sports recovery) in Hokkaido’s first ever Float Tank. 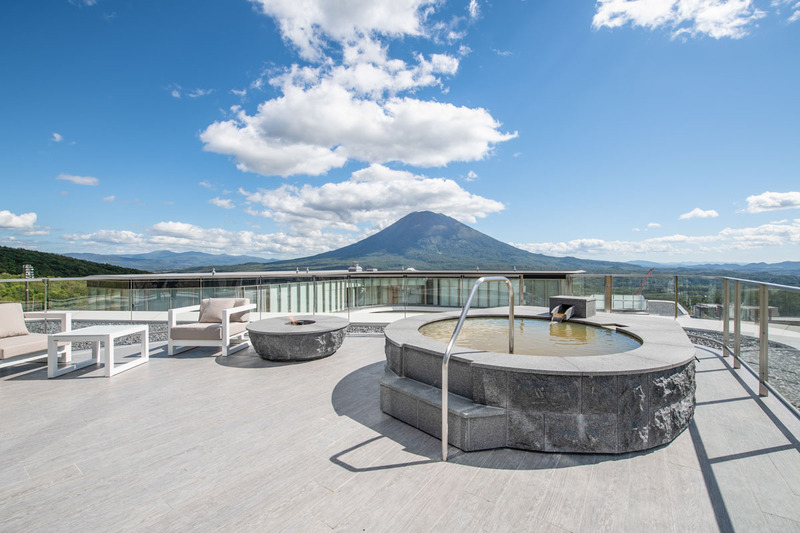 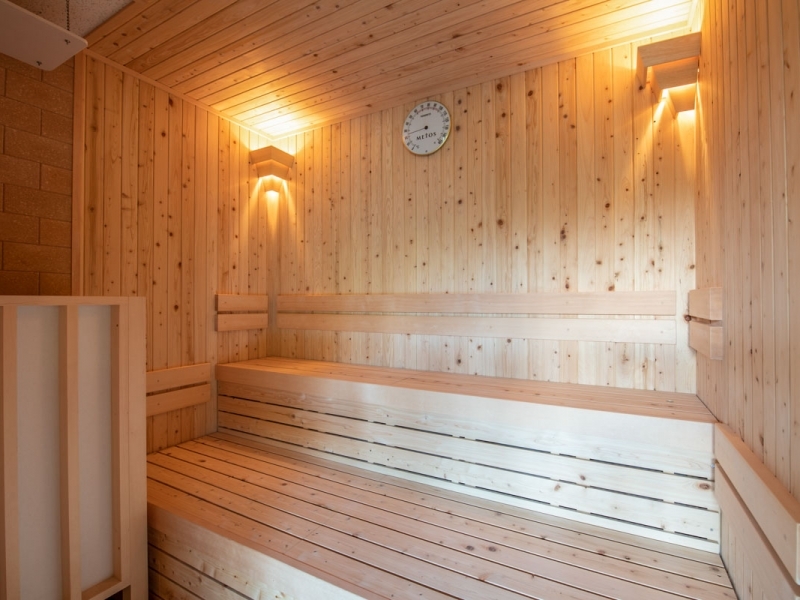 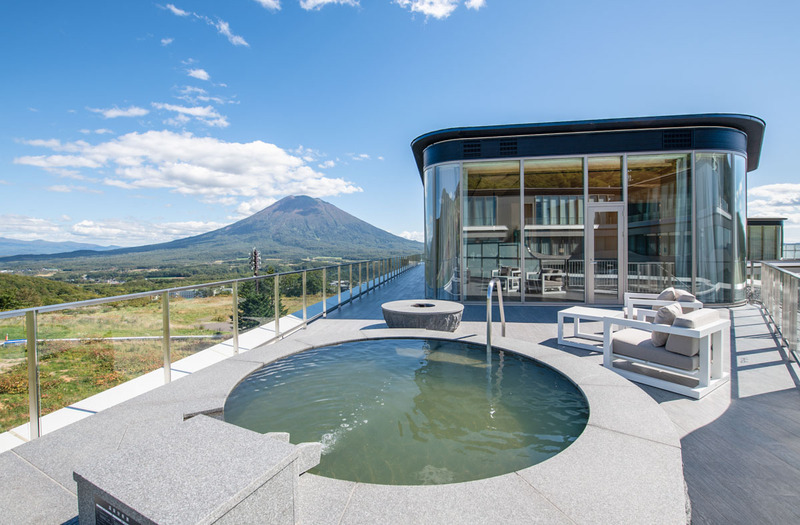 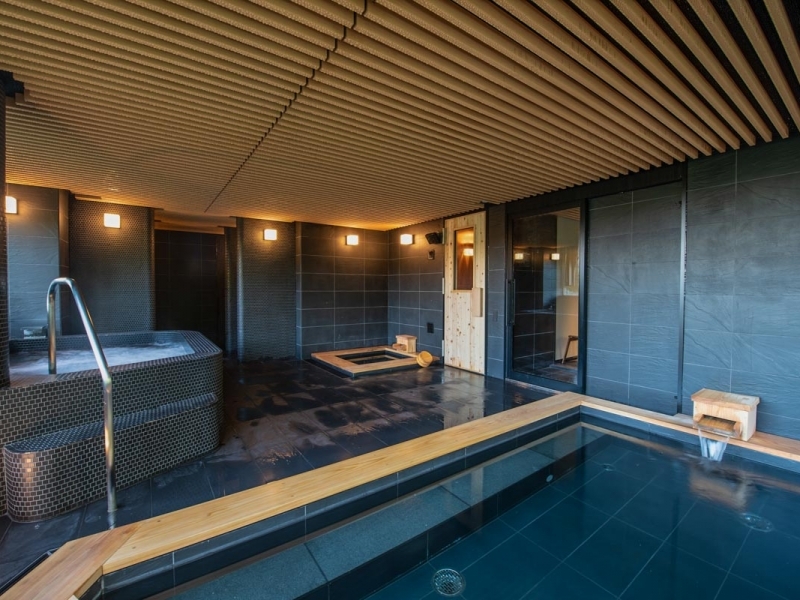 While the private gym next to the spa will allow you to burn off some calories at the start of another guilt-free day in Niseko. 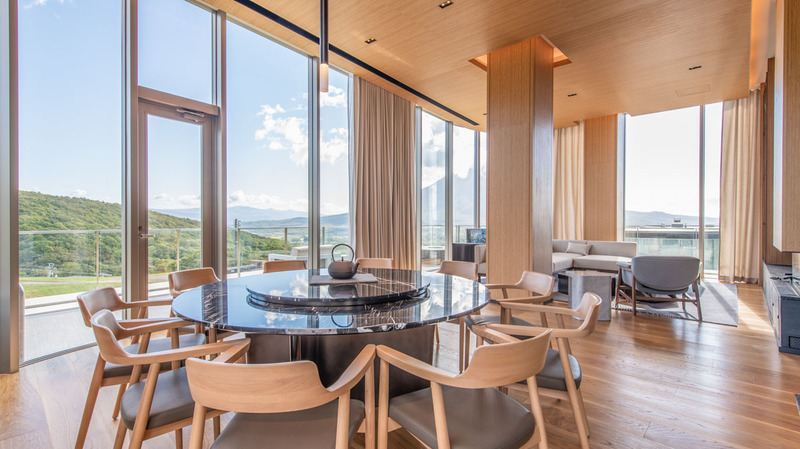 Kumo Restaurant is grounded on signature Hokkaido ingredients like legendary Rusutsu Pork and seafood from the southern coastal waters of Hakodate. 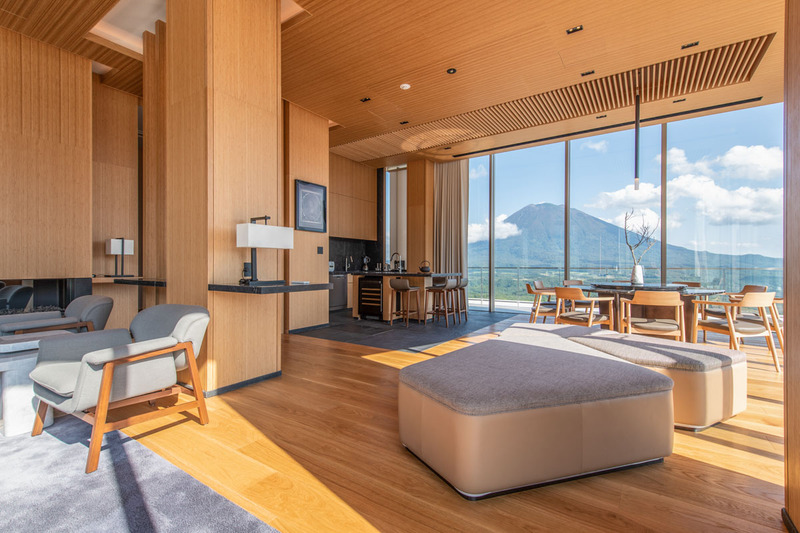 Enjoy a curated selection of local and international beer and wine, plus Japanese sake and signature desserts that will warm, surprise and delight. 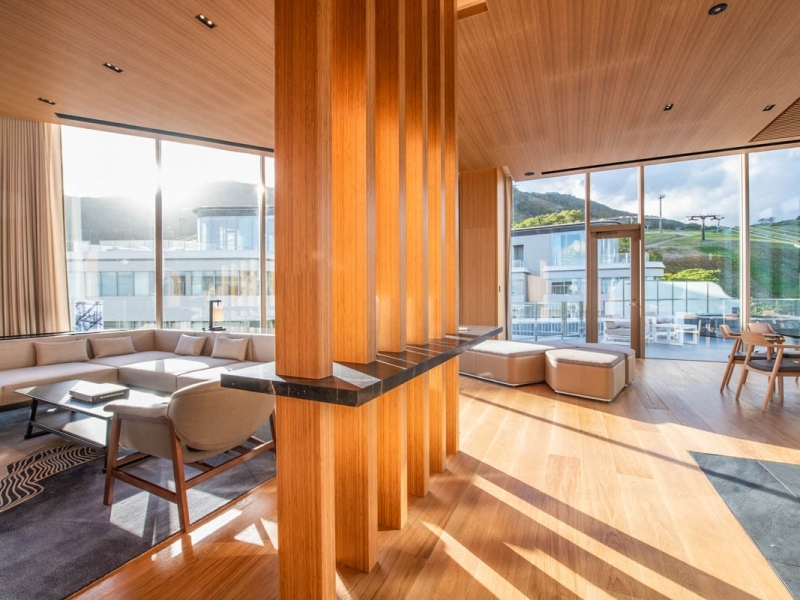 For a quick snack, eat in or takeaway, sake tasting and featured wine by the glass, visit the Café Deli. 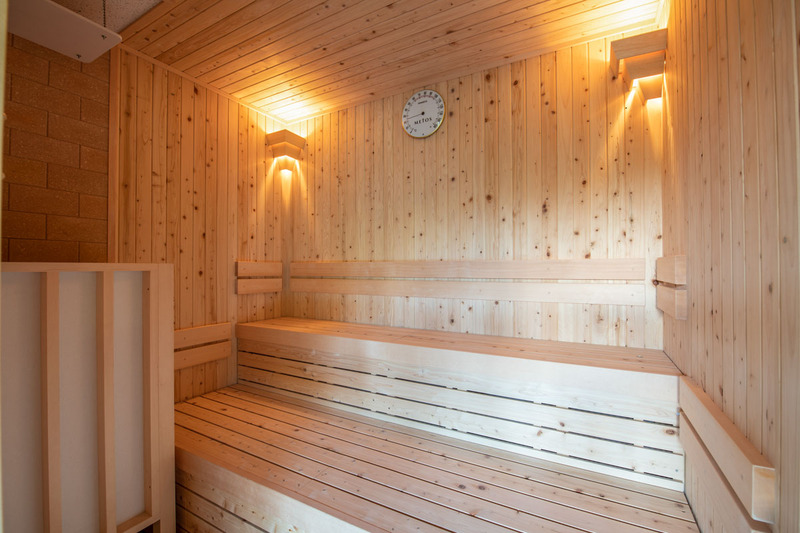 Open from morning to evening for eat in or takeaway, this is the perfect place to fuel up or cool down. 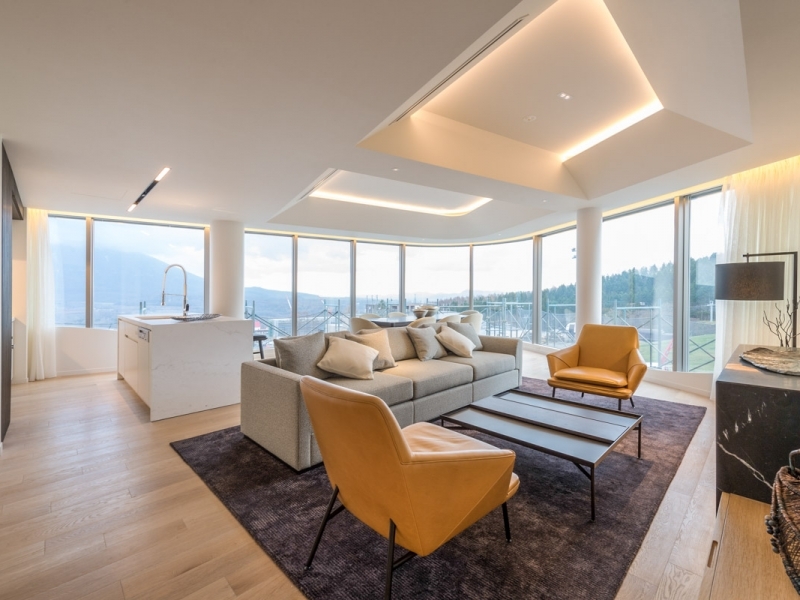 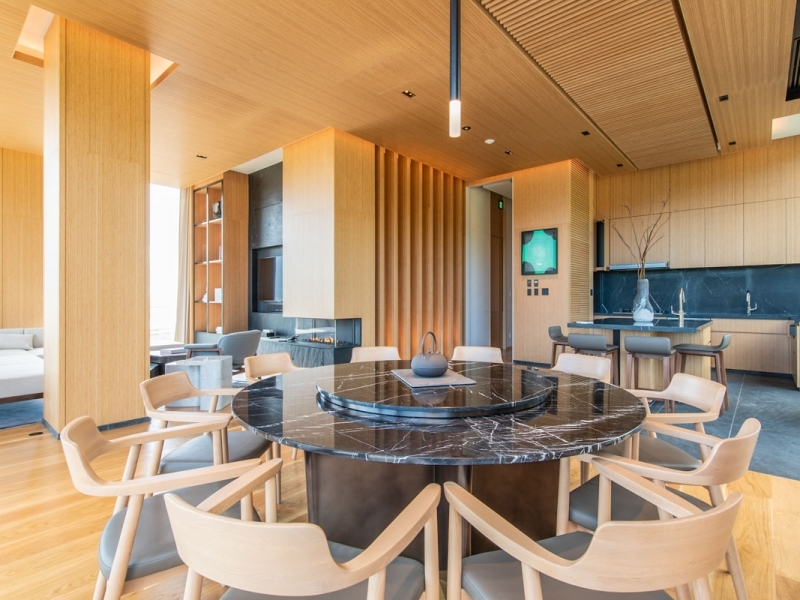 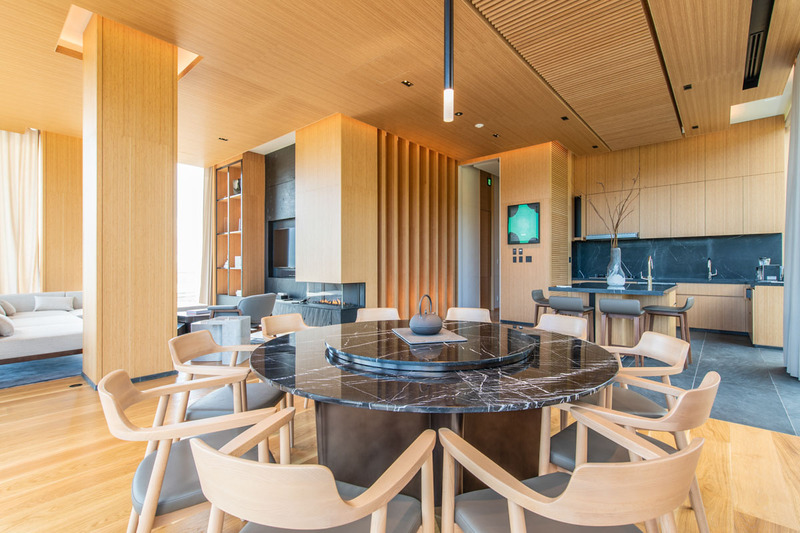 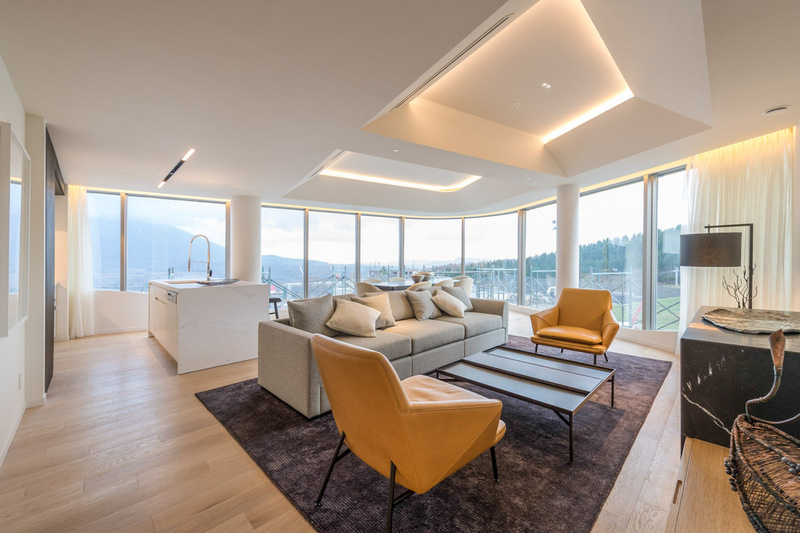 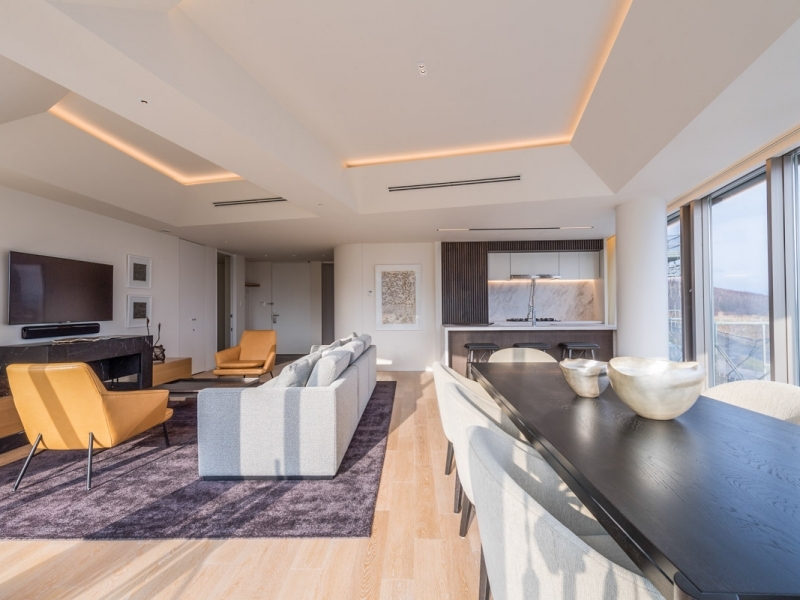 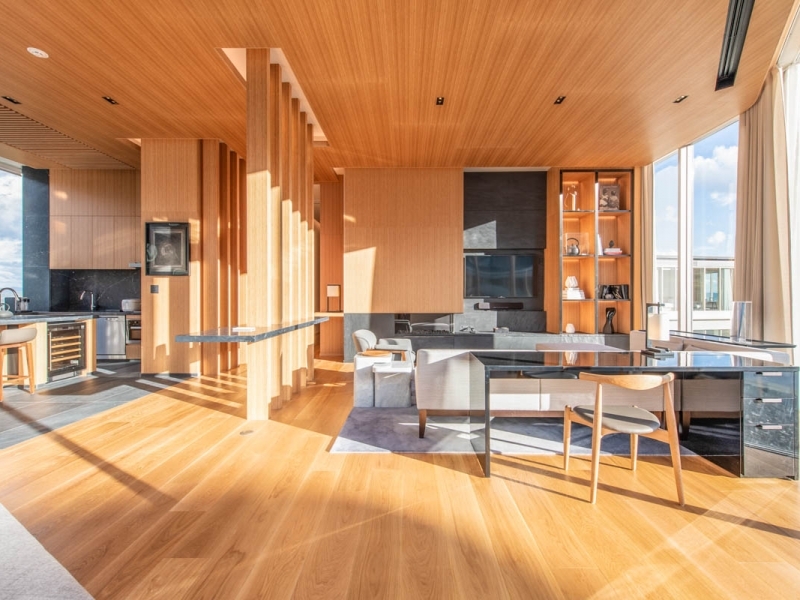 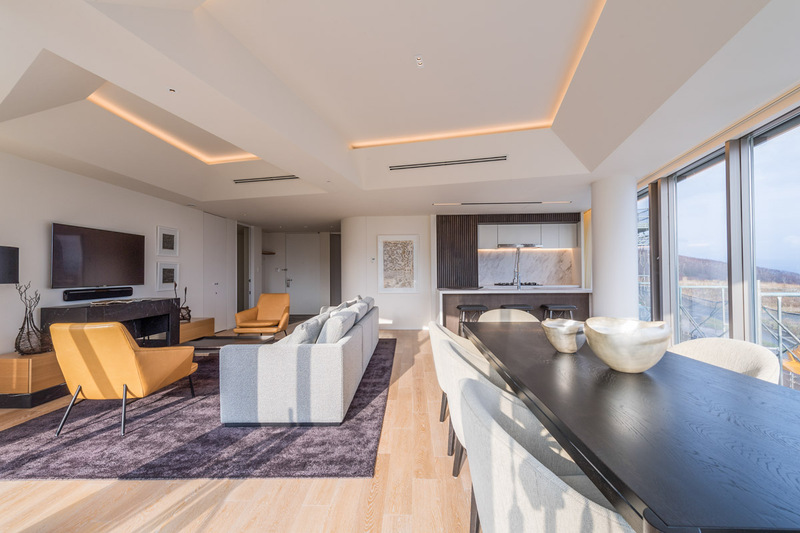 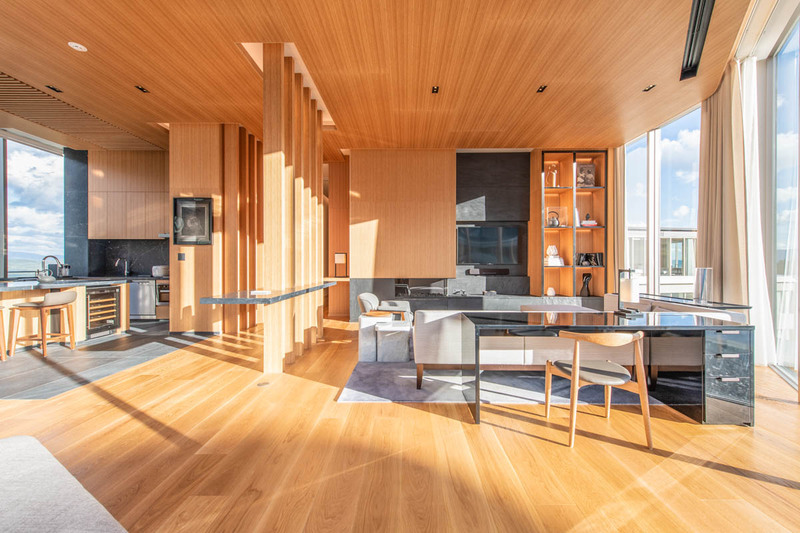 Located on the top floor of the highest altitude building in the surrounding area, the penthouses overlook all that surrounds. 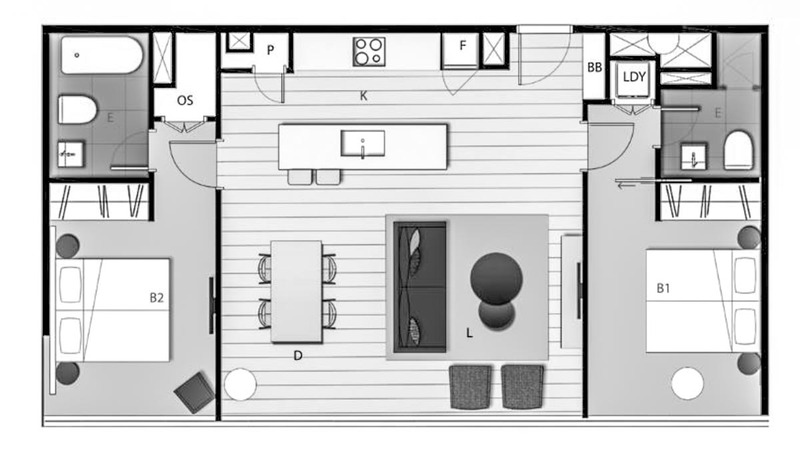 Sleeps 8 guests, with 3 bedrooms configurable as twins. 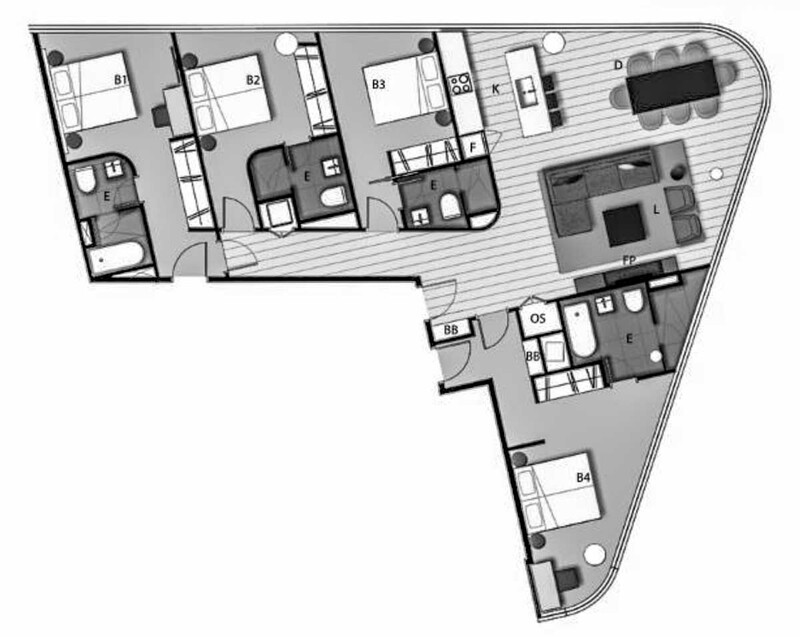 2 bedrooms feature ensuites, including a bath en-suite for the master bedroom. 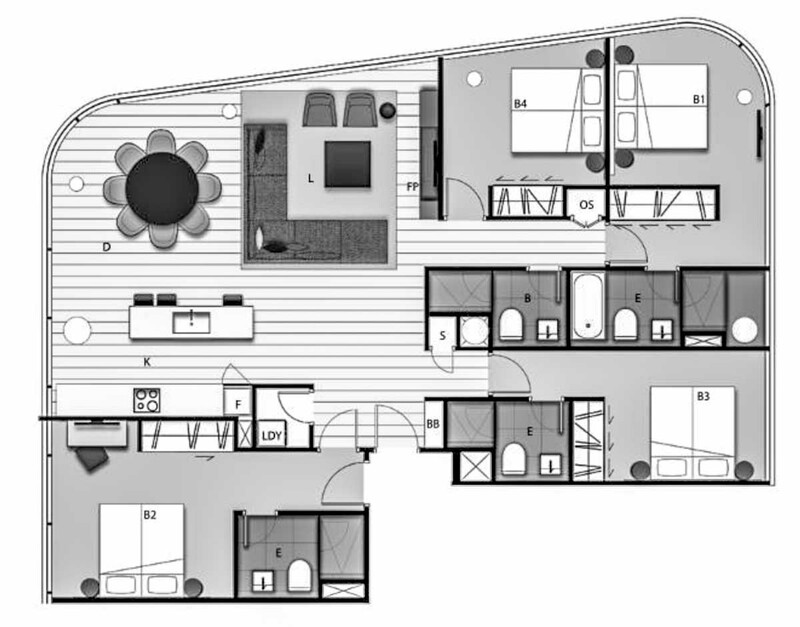 Sleeps 6 guests, with all bedrooms configurable as twins. 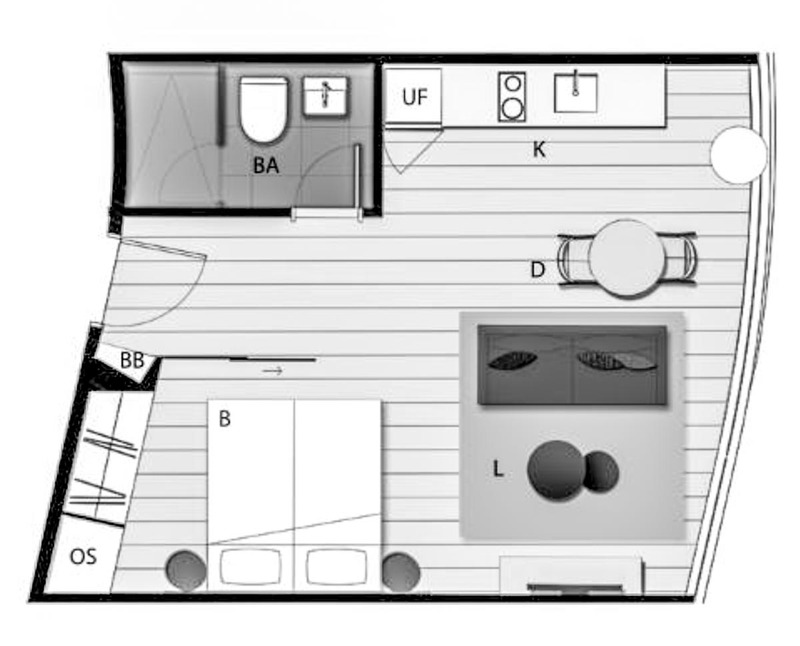 Sleeps 4 guests, with one bedroom configurable as a twin. 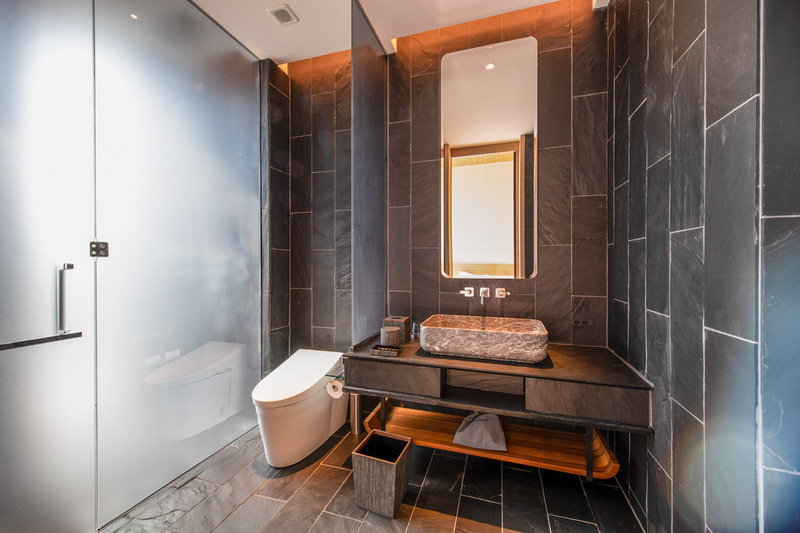 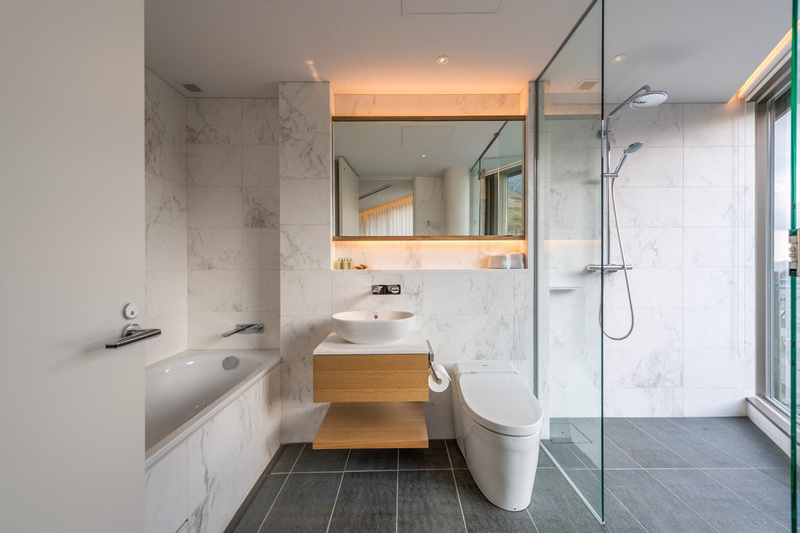 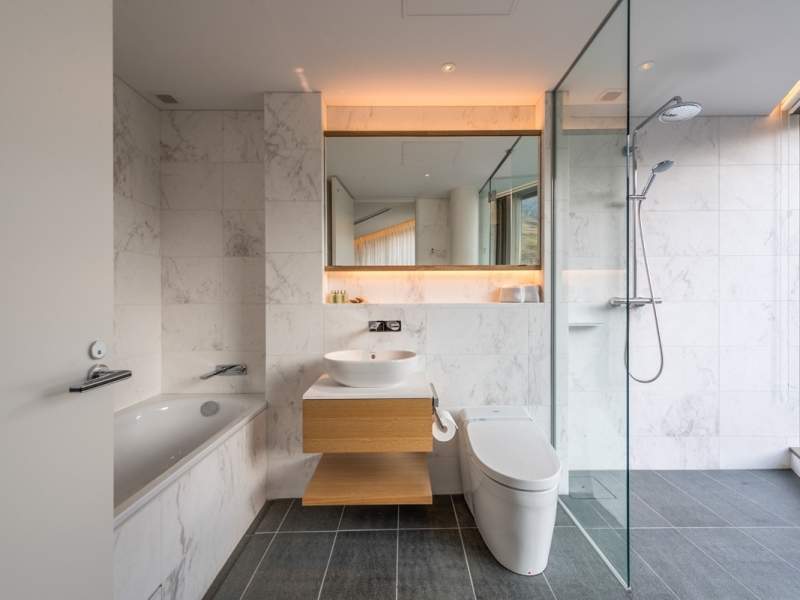 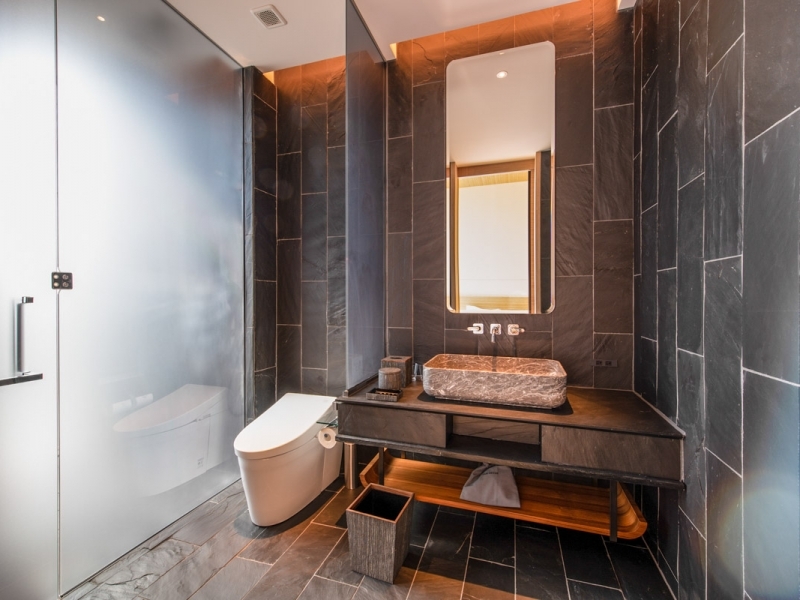 Both bedrooms feature ensuites, including a bath en-suite for the master bedroom. 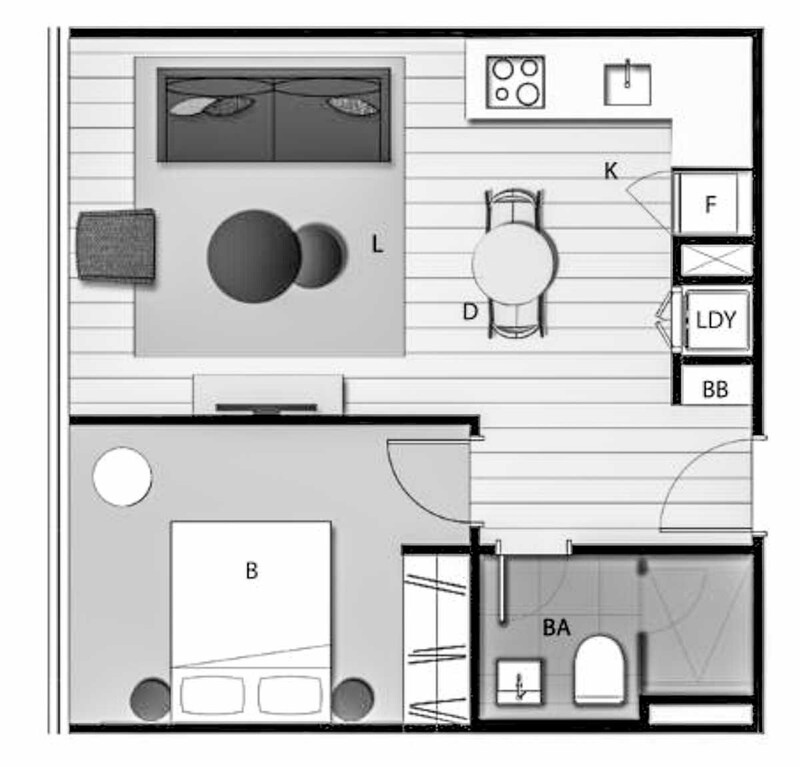 Sleeps 3 guests with a murphy bed. 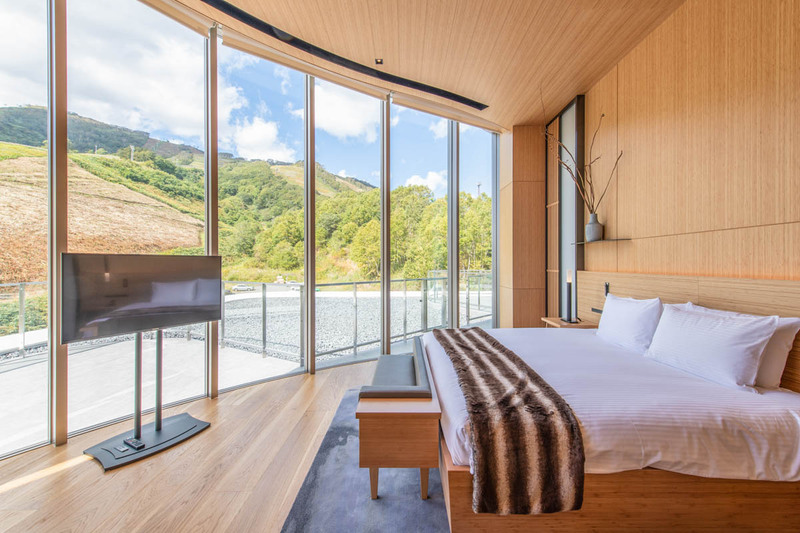 Sleeps 2 guests, configurable as a twin. 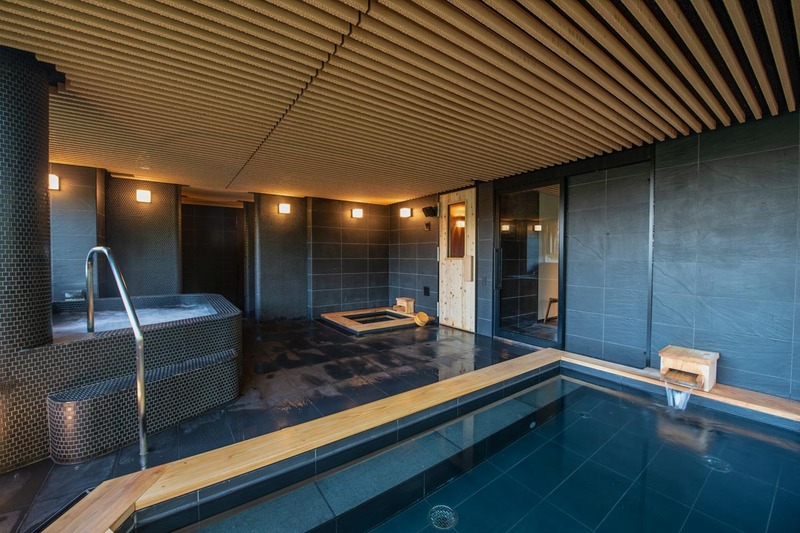 Shower room only.